Why settle for anything less than the quintessential Aussie holiday by the beach. You can do it here on the Gold Coast at here at the Dorchester on the Beach holiday apartments. Our fully self contained Surfers Paradise family accommodation is just what you need. From our modern and spacious three bedroom apartments close to Surfers Paradise and Broadbeach explore the best that the central Gold Coast has to offer. Stars Gold Coast formerly known as Jupiters Casino is nearby. Your closest Woolworths is in the Oasis Shopping Centre in Broadbeach where you’ll also be able to catch the free monorail to Stars Gold Coast from the Oasis Shopping Centre as well. Dracula’s Comedy Cabaret Restaurant offers a gothic comic cabaret just around the corner with dinner and a show. It’s very funny and the performers well-honed in their roles act out like it’s opening night, every night. On the same block is the Pacific Fair Shopping Centre, where you can go shopping at one of Australasia’s largest shopping centres. The recent refurbishments have provided significantly more carparks and are many new bars restaurants and cafes that have opened in the centre. They’ve made a big shopping and entertainment experience even bigger. The Gold Coast might seem like it has an endless number of shopping centres and in a way it does. The avid shopper in whatever stripes they like to wear is bound to find almost anything. Outlet shoppers will be reward by heading to the Harbour Town Outlet Shopping Centre. Your dollars will really stretch when your buy from your favourite big brand fashion and homeware outlets here. Then there’s the other end of the shopping spectrum at the Palazzo Versace in main Beach. Even if you are just window shopping this is an unmissable Gold Coast destination. How about making a visit to Sea World. It has one of the most impressive aquariums in the Southern hemisphere. Their collection includes large sharks, stingray and assorted reef fish that you can see overhead as you walk through the underwater viewing chambers. Don’t forget the other Gold Coast theme parks…they promise a great day out for all the family. Why settle for anything less when our fully self contained Surfers Paradise family accommodation are just what you need. Experience the Gold Coast here at the Dorchester on the Beach holiday apartments. Book now. You’ll find affordable Broadbeach luxury accommodation here at the Dorchester on the Beach Resort. Our multi-starred accommodation offers visitors to the Gold Coast a host of options, especially for families looking for somewhere handy to Broadbeach and Surfers Paradise. You and your family will be positioned in the heart of the Gold Coast with options galore for things to do and places to see. Not to mention the choices of fully self contained 3 bedroom apartments. We have standard, 4 star deluxe and the very special 4.5 star apartments available. Our non-renovated apartments may not be as modern as our 4 star and 4 1/2 star apartments but they are the same size as the higher star apartments and offer families the same beach front position for more affordable tariffs. As you may have guessed, the difference between the level of stars depends very much on how recently and extensively the apartments have been renovated. One thing that everyone enjoys is the entertainment area facing the beach. Our heated pool and outdoor entertainment area are perfectly suited to hours of poolside lounging, and the classic resort BBQ is more like an outdoor kitchen patio. Designed for a flawless evening of entertaining family and friends. Just beyond the gates of the courtyard is a fully patrolled stretch of beach, just perfect for a swim, or surf. Whether you prefer the vibrant beach culture of Surfers Paradise or the dining and entertainment options of Broadbeach, you’ll find they are an easy walk from Dorchester on the Beach Resort. Just as easy is the walk to Australia’s leading Surf Club and award winning restaurant BMB NorthCliffe Surf Club just 200 metres north. Our ever popular promotion of 5% off for direct booking and a $75 dinner voucher at the BMB NorthCliffe Surf Club has been extended until the end of the year. This is an excellent night out for the family, or the voucher could be used for brekkie or lunch. This is the ideal place for any family group to stay for their Gold Coast adventure with plenty of reasons and incentives. You’ll find affordable Broadbeach luxury accommodation here at the Dorchester on the Beach Resort. Book now. It couldn’t get simpler than this Broadbeach apartment accommodation. The Dorchester on the Beach Resort really should be the first and last choice you ever have to make for your Gold Coast holiday accommodation. You can’t get any closer to the beach than at this Surfers Paradise accommodation. Just open the gate at the back of the entertainment area and voila! There you are right on the beach. The family will love it. There’s both the fab resort entertainment area and the easy access to the beach. It is literally absolute beachfront with surf patrolled stretches of ocean just metres away. The world famous BMD NorthCliffe Surf Club is only 200 metres from the Dorchester on the Beach. Pop in for breakfast, lunch or dinner and you’ll be pleasantly surprised by the warm welcome you’ll get. If you book direct for an extended holiday you’ll get a 5% discount and a dinner voucher worth $75 at the BMD NorthCliffe Surf Club restaurant. Pretty good, and that’s not all, you’ll also get a free bottle of wine or a six-pack of beer. We’ve extended this popular promotion until the end of the year. Our range of spacious and fully self contained three bedroom apartments are available in tiered price brackets, with three, four or four and a half star apartments. Prices are adjusted according to the state of renovation and the views. So if you are after a newly refurbished apartment with all the mod cons, decor, fittings and furnishings then you are going to want to book a four and a half star apartment. The standard apartments offer the same amenities and space, however the furnishings and outlook may not be as modern. What could be could be simpler than booking your holiday accommodation so close to Surfers Paradise AND Broadbeach. Both hot Gold Coast destinations in their own right, in Broadbeach apartment accommodation that offers door to beach access — the Dorchester on the Beach Resort. Book now. We’re always busy. How about this beachfront apartment accommodation Broadbeach for your next Gold Coast adventure. The Dorchester on the Beach apartments are absolute beachfront and have nothing in the way between the sand and the ocean except a gate. Of course you have to exit through the outdoor entertainment area with the large heated pool and outdoor BBQ cabana beside the pool. There’s more than enough options here for relaxation and beach fun. The beach out the front of the Dorchester on the Beach Resort is patrolled 365 days a year and has consistently good surf breaks, which is good for novices and casual surfers looking for some easy waves. For more experienced surfers, there are numerous other beaches along the Gold Coast with more challenging breaks. The Southern Gold Coast in Coolangatta and even on the other side of the Point Danger at Duranbah is renowned for great surf breaks. Seek and the adventurous surfer will find their spot in line, maybe next to Mick Fanning or Joel Parkinson. You’ll love our spacious 3 bedroom apartments. Fully self contained abodes with sea views that scan from Surfers all the way down to Burleigh Heads. Staying in the the heart of the Gold Coast has real advantages, one being the walking distance to either Surfers Paradise or Broadbeach. But also you’re not so close that you’ll be kept awake by the youthful ambiance of Surfers Paradise club scene. Our location is perfect for families who want the convenience of being close to all the exciting parts of the Gold Coast, but still enjoy a little tranquility. If you are planning to enjoy the beach life, and everything else that the Gold Coast has to offer, then the Dorchester on the Beach apartments is your perfect place to stay. 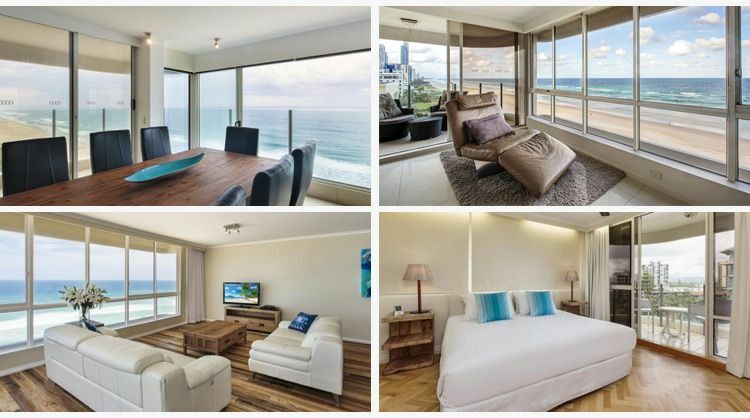 Make this beachfront apartment accommodation Broadbeach your next holiday destination. Book now. Here’s affordable Surfers Paradise luxury accommodation you don’t see everyday. With fully self contained 3 bedroom apartments ranging from 3 star to 4.5 stars you can stay in style on the Gold Coast. Gather your friends, your family and start making plans for an epic holiday on the Gold Coast. The Dorchester on the Beach Resort is absolute beachfront property with easy access to the beach — there are fully surf patrolled stretches of beach nearby for your peace of mind. If you bring your surfboard, there’s usually plenty of waves to catch. Also nearby is Cavill Avenue, recently revitalised with a $25 million upgrade to the street and boardwalk, this is a place where everyone can enjoy the vibrant beach culture whether you are shopping, browsing or eating, the Cavill Mall strip has everything from high-end boutiques to hole in the wall stalls and food stands. It’s all an eclectic mix where street, surf and swimwear and ethnic street food predominate during the day. The after hours culture is no less vibrant, where the Gold Coast club and bar culture comes to play. The Dorchester on the Beach is a handy distance from the fun, but also far away enough to enjoy peace and quiet. Find your place of chill down beside the pool. There are plenty of sun loungers alongside and the entertainment area also contains a cute BBQ cabana for lunch and evening grills. Meantime back in the apartment, there is plenty of free wi-fi to keep those social posts up-to-date, and if you have time in-between raving, hitting the Gold Coast amusement parks, shopping and doing the beach thing, there’s also Foxtel. Holidays in Surfers can be hectic, jumbled and exciting affairs. Your apartment in Surfers is the perfect retreat with everything you need for your home away from home. With superbly equipped kitchens and your own laundry facilities — washer and dryer, the show can run smoothly. Stay in style at this affordable Surfers Paradise luxury accommodation. Our fully self contained 3 bedroom apartments at the Dorchester on the Beach Resort is your gateway to an epic Gold Coast holiday. Book now. Are you looking for Surfers Paradise apartment accommodation? This must be the place. The Dorchester on the Beach is a stones throw from Surfers Paradise but you will never know it. Situated on Garfield Avenue, a kilometre from the Esplanade, Surfers Paradise, this superb Gold Coast accommodation has absolute beachfront position. There are no roads to cross, the only thing hot underfoot is the silky white sand. The family will love the Dorchester on the Beach. Our fully self contained 3 bedroom apartments are modern and spacious, and are great for the longer holiday stays, with fully equipped kitchens and laundries. The space, decor and the views are all impeccable, with a choice of ceiling fans and/or air conditioning for your ideal level of comfort. You also get free wi-fi internet throughout the resort complex, from the foyer to the outdoor entertainment area and all apartments. We have great wi-fi. There’s also Foxtel in every apartment with sports, movies and kids channels. No one get’s left behind here. There’s plenty of big screen entertained if you need a break from the spa or pool in the outdoor entertainment area. If you’ve drawn a blank and run out of ideas for things to do on the Gold Coast, you can always have a look at our activities page, there’s plenty of fresh ideas to explore. If there’s something you like, you can book it direct at no extra cost to you. If you’ve had enough of driving and want a break from that too, park your car in our secure undercover parking and walk, or use the excellent Gold Coast public transport system. Now that you’ve found our Surfers Paradise apartment accommodation you better book at The Dorchester on the Beach apartments. You are absolute beachfront on Surfers Paradise, and that’s value for money you’ll find hard to beat. The Dorchester offers guests a great range of apartment accommodation in Surfers Paradise. Holiday makers will love the location being ocean front with direct access to the beach and within walking distance to both Broadbeach and Surfers Paradise. You will be just a stone’s throw from the action and excitement of Surfers Paradise but be able to enjoy the peace and relaxation of your beachfront apartment. Guests can take pleasure with The Dorchester offering a great range of fully self contained standard, 4 star, 41/2 star and penthouse apartments on the beach at Surfers Paradise. All apartments feature a well equipped kitchen and laundry facilities making self catering a breeze. With spacious interiors and ocean facing private balconies, you will be able to relax and unwind without a care in the world. This apartment accommodation in Surfers Paradise has great facilities on offer, relax by the heated swimming pool, enjoy relaxed dining in the outdoor bbq and dining lounge area. With direct beach access you are free to swim, surf or wander the kilometres of white sand at your leisure. Dining and shopping options abound with both Broadbeach and Surfers Paradise a short walk away. Nearby shopping centres include Pacific Fair, Oasis Shopping Centre, Niecon Plaza and Villa Roma. Take a drive to Robina Town Centre or shop for bargains at Harbour Town. No visit to the Gold Coast is complete without a visit to at least one of the theme parks…head to Sea World or Dream World with Currumbin Wildlife Sanctuary a great day out for all the family. What are you waiting for? Ring us today to book your apartment accommodation in Surfers Paradise, your beachfront resort awaits you. Festival 2018 held during the Gold Coast 2018 Commonwealth Games promises to be an action packed 12-day arts and cultural program. Held from the 4th to the 15th of April locals and visitors to the city will be treated to a wide array of FREE events including music, visual arts, theatre, circus, film and dance. These performances by local, national and international talent will be hosted at the two festival sites; Surfers Paradise and Broadbeach, as well as at venues across the Gold Coast from Coomera to Coolangatta. Broadbeach is centrally located and close to a number of the festival events including the physical theatre (circus) and the Amy Shark concert. For a full list of Festival 2018 events,visit the official Festival 2018 website. Close to all the action, Broadbeach is the ideal location to base yourself for the upcoming Festival 2018 and the Gold Coast 2018 Commonwealth Games. The Dorchester offers guests a great range of fully self contained apartments within walking distance to the beach and dining choices. Hurry apartments are filling fast.Ring us today to secure your Broadbeach accommodation for this fantastic sporting event. The Gold Coast is home to a large number of events, sporting and cultural which attract large numbers of visitors every year. Here are just a few of our favourite 2018 events…and of course the Gold Coast Commonwealth Games is right up the top. Book your Gold Coast accommodation today for these upcoming events. The Dorchester ideally situated between Broadbeach and Surfers Paradise is the perfect choice to base yourself for your Gold Coast visit. Why not choose an even or two from the list and book your Gold Coast event accommodation today….we’d love to see you. This beachfront accommodation Surfers Paradise will have you at hello with it’s real “on the beach” location. The Dorchester on the Beach has an absolute beachfront location with direct access to a beautiful patrolled Gold Coast surf beach. Separated by the beautiful entertainment area with the outdoor swimming pool, jacuzzi and BBQ, you’ll exit through the gate of the courtyard and onto the gorgeous warm sands of the beautiful patrolled Gold Coast surf beach. Feel the excitement build with the anticipation of coming to the Gold Coast. For the kids it will be the trip(s) to the Gold Coast theme parks that will be embossed on their holiday memories. Grown ups will love the location between Surfers Paradise and Broadbeach, the Dorchester on the Beach is the perfect destination for couples visiting the Gold Coast. There really is something for every member of the family close to this superb Broadbeach accommodation. Young families, families with teenagers, or older groups take note. It’s just a quick walk up to Surfers Paradise. There’s plenty of choice when it comes to shopping, or just hanging out. Cavill Mall is a popular retail destination for visitors to the Gold Coast with a broad array of restaurants, shops and nightclubs that are steeped in the surf culture after which Surfers Paradise is so-named. There’s lots of regular live music performances from buskers lining the street at night — don’t miss out on the night markets on the Esplanade. In Surfers, you’re never far from the (cheap) Asian food stalls, surfboard shops, t-shirt emporiums, and nightclub entrances. The accommodation at the Dorchester on the Beach is mainly self contained three bedroom apartments with some single-bedroom apartments. Choose your level of luxury, from the lavish 4.5 star apartments to the more modestly priced 3 star appointed apartments. These entry level apartments are perfect for families who want the views, location and roominess of spaciousness of three bedrooms close to the excitement of Surfers Paradise. Take a good look at your options for accommodation Gold Coast Accommodation Surfers Paradise, because we know at the Dorchester on the Beach you won’t get better. Book now for your fun-filled and action-packed holiday on the Gold Coast. Located in the heart of Broadbeach, these Gold Coast apartments at the Dorchester on the Beach has views that will take your breath away. Panoramic views of the Pacific Ocean and the Gold Coast coastline from our modern holiday apartments set the scene for a Gold Coast holiday like no other. Choose your level of luxury for your dream holiday on the Gold Coast from one of our spacious three bedroom apartments. Our apartments have fully equipped kitchens, air conditioning and balconies perfect for taking in the vistas of the Gold Coast coastline. Our luxurious four and a half star Superior apartments and our Standard three star apartments all share the same roomy and spacious layouts. As you’d expect of a four and a half star luxury abodes, the fittings and furnishings, and appliances are of a higher standard. Standard apartments enable guests the opportunity to enjoy the proximity to one of the Gold Coast’s premiere locations at an affordable price. Enjoy easy access to award winning restaurants, cafes, and shopping or take a short drive to the famous Gold Coast theme parks and championship golf courses. Life on the beach can be found at our doorstep, through the gate beyond our heated pool and BBQ area. Lay your towel on the warm sand of the beach or recline in one of the sun loungers. Exciting things to do and see are just a stones throw away. Use the G-Link light rail to travel to The Star Casino, the Gold Coast Convention Centre, Pacific Fair Shopping Centre, or north to Surfers Paradise, Southport, Griffith University and Gold Coast Hospital. Park your car in our secure under cover parking and enjoy the freedom of travelling on the first class Gold Coast public transport system. You can also check in at our tour desk and make all your Gold Coast theme park arrangements with us. Beat the rush at the gate and we can organise your tickets and transport. Make sure your Gold Coast holiday is made perfect at these Gold Coast apartments. Book your apartment at the Dorchester on the Beach now. Are you looking for Surfers Paradise absolute beachfront apartments? The apartments at Dorchester on the Beach at Surfers Paradise are quite literally on the beach. You just have to pass through the gates of our fabulous outdoor entertainment area first where you may succumb to the charms of a sun lounger beside the heated pool. Catch up on some holiday reading, or soak in the jacuzzi. It’s here waiting for you, and in the evening, stoke up the barbeque for an excellent evening meal. There is plenty to do on your Gold Coast holiday, you’ll want to make sure that you’re staying in the heart of the action. Located between Surfers Paradise Cavill Mall and Broadbeach, our holiday apartments are the perfect stay for families with our roomy fully self contained three bedroom apartments and you get to choose to stay in either standard or luxury appointed apartments. Either way, these apartments all share the same spacious layouts, views and facilities. Deluxe and Superior apartments offer 4 star and above levels of luxury. The Standard apartments offer excellent value for money, while not as modern as the Deluxe and Superior apartments, the Standard apartments provide you with the opportunity to stay in a large beach front holiday apartment at more affordable prices. Surfers Paradise which is just minutes up the road and the Skypoint Observation Deck has some of the best views of the Gold Coast and the Hinterland. Imagine a view 250 meters above ground. At Skypoint you don’t have to. Observe the Gold Coast from the safety of the observation deck, or take a fully harnessed walk on the gantry and external stairs above the observation deck. Woo hoo. No Surfers Paradise holiday is not complete without a visit to the famous Gold Coast theme parks. Experience the excitement and exhilaration of White Water World and Wet n Wild. Everyone loves Warner Bros Movieworld, while the Great Australian Outback Experience is a rollicking good night out, complete with bush tucker inspired cuisine and a floor show extravaganza with dancing horses and Aussie bushmen. The Surfers Paradise Beachfront Markets along the Surfers Paradise Foreshore is in session every Wednesday, Friday and Sunday night from 3pm to 8pm. Bask in the carnivalesque atmosphere during your after dinner stroll. Snap up a souvenir from one of the stalls that includes more than 100 market stalls of artworks, photographs, beauty products, fashion, jewellery, accessories and homewares. Book your Surfers Paradise absolute beachfront apartments at the Dorchester On The Beach today. The accommodation at Dorchester on the Beach are the perfect Broadbeach apartments for your Gold Coast adventure. Wake up with the cool Pacific Ocean breeze wafting though the balcony doors. This superb Broadbeach resort is located between Surfers Paradise and Broadbeach, the Dorchester on the Beach enjoys an absolute beachfront location with direct access to a beautiful patrolled Gold Coast surf beach. What separates the Dorchester on the Beach building from the beachfront is our beautiful entertainment area with the outdoor swimming pool, jacuzzi and BBQ. You’ll have to get past that first. The choice is yours to relax by the beachfront pool area, or put the towel down on the warm sands of the beach. Maybe a plunge in the ocean. Surfs up. You can take-in the surf culture almost anywhere, afterall you’re moments from Surfers Paradise where you can soak up the ambience of the cafés, shops, restaurants and cheap and tasty food stands. When night falls you can be entertained at the bars and nightclubs. Surfers Paradise is a great destination if you have lot’s of energy and youthful exhuberance to burn. For the less nocturnally inclined visitors to the Gold Coast, the Dorchester on the Beach is also close to the Pacific Fair Shopping Centre, the Gold Coast Convention Centre and The Star Casino. Perfect for the family, or good if you are looking for a white tie, black dress kind of night out at Star Casino. There`s always a floor show and so many great restaurants to choose from for an outstanding night out. The Dorchester on the Beach is just a ten minute drive away from international golf courses, public and private hospitals and the Gold Coast Turf Club. Don’t forget the forty two kilometres of Gold Coast’s beautiful beaches. Head inland just for a change, there’s the hinterland towns and villages that make for a very picturesque adventure. Mount Tamborine will transport you back to another time and place where you can peruse the arts, crafts and antiques, and sample the local produce, preserves, small goods and artisan foodstuffs. These Broadbeach apartments are the perfect place to start your Gold Coast adventure. Book your place in the sun at the Dorchester on the Beach. Here’s the perfect Surfers Paradise apartment accommodation. If you’re bringing the family to the Gold Coast make sure they enjoy their holiday in style at the Dorchester on the Beach. We’ve got apartments to match every budget whether you love to shower your family in 4.5 star luxury or you prefer to spend your money on the Gold Coast theme park attractions and stay in our 3 star apartments. Regardless of what apartment accommodation you choose, you benefit from the same fantastic location so handy to Surfers Paradise and Broadbeach as well. Of course our location is far away enough from the excitement and energy of Surfers Paradise for you to be able to kick back and relax in whatever style you are accustomed to. Unwind on the beach in the warm and glistening white sand, or pull up a sunlounger beside the pool and catch up on some holiday reading in our marvellous outdoor entertainment area. This is Surfers Paradise luxury accommodation. Our three bedroom apartments with accompanying ensuites for each bedroom are just perfect for couples, guests who have come for the Star Casino experience, or families arriving for their Gold Coast theme park adventure. Most destinations are on some handy public transport routes, so getting there from the Dorchester on the Beach Apartments is easy. The Gold Coast Convention and Exhibition Centre is not just for business conferences and expos, it’s also a venue with a full calendar of events. Dial down the dress code to casual and head to the Kurrawa Surf Life Saving Club for a cold drink, or an easy night out. The bar and grill is a great way to spend an evening with family and friends. Also nearby are the BMB Northcliffe Surf Club and the Surfers Paradise Surf life Saving Club for a couple more options. The perfect Surfers Paradise apartment accommodation is waiting for you at the Dorchester on the Beach. Book your accommodation now for the best Gold Coast holiday. Even though you are enjoying your Gold Coast holiday it doesn’t mean you have to sacrifice eating well. Stock up on locally grown fresh fruit and vegetables, organic produce, eggs, honey, bakery and del items and meats at one of the Gold Coast farmers markets. Nearby The Dorchester you will find the Burleigh Farmers Markets which are held every Saturday from 7am till 12 noon, rain, hail or shine. With plenty of parking and held in the grounds of the Burleigh Heads State School, this is one farmers market not to miss. Bring the whole family and enjoy live entertainment, great local produce and tasty treats. On your next Gold Coast holiday make sure you visit the Burleigh Markets where you will experience the spirit of local farmers, craftsmen, artisans and producers. Stay at The Dorchester in Broadbeach for fantastic beachfront accommodation on the Gold Coast. With a great range of apartment options there is one just perfect for you. From the 3 star 3 bedroom oceanfront apartments through to the luxury penthouse, The Dorchester can cater for your holiday accommodation needs. Each apartment features a private balcony with stunning ocean views. Take advantage of the great facilities which include a heated swimming pool, outdoor bbq and dining area, secure undercover parking and a private beach access. With no roads to cross, access to this Gold Coast beach could not be easier. What are you waiting for? Ring us today to book your next getaway at The Dorchester where you will enjoy Gold Coast accommodation right on the beach. With a stack of great holiday activities on offer, make sure a visit to one of the Gold Coast farmers markets is on your list. The Gold Coast is proud to be hosting the 2018 Commonwealth Games with more than 6600 athletes and officials from 70 Commonwealth Nations and Territories taking part in 11 days of competition running from the 4th to the 15th of April 2018. This is a once in a lifetime opportunity to witness some of the world’s best athletes in action. Secure your Gold Coast accommodation for this world class sporting event now before it’s too late. With events held throughout the Gold Coast you will find Surfers Paradise a central location to base yourself and we a part of this fantastic Gold Coast sporting event. Book your Surfers Paradise accommodation for the 2018 Commonwealth Games at The Dorchester. With a great range of fully self contained standard, deluxe and superior apartments on offer, there is sure to be one that is perfect for your needs. All apartments feature well equipped kitchens, modern decor and furnishings and balcony. Choose ocean view apartments to enjoy stunning views over the beach and surf of this centrally located Gold Coast resort. After a busy day cheering on the Aussies, return to your accommodation in Surfers to enjoy the great range of onsite facilities. Take a dip, either in the ocean (we are located right on the sand) or in the heated swimming pool before enjoying relaxed dining poolside in the outdoor bbq dining and lounge area. Hurry, with so many people expected to be heading to the Gold Coast for this fantastic sporting event, accommodation is sure to fill fast. Ring us today to secure your Surfers Paradise accommodation for the 2018 Commonwealth Games on the Gold Coast. Are you looking for Surfers Paradise beachfront apartments? Hello, you’ve just found them. The Dorchester on the Beach apartments are just a stones throw from Surfers Paradise but you might never know it. Set on Garfield Avenue, about a kilometre from the Esplanade, Surfers Paradise, this superb holiday accommodation is positioned right on the beach. There are absolutely no roads to cross, so if you drop your ice cream it won’t land on hot tar seal, you’ll be adding sandy sprinkles. The Dorchester on the Beach perfect for families. There’s no traffic to contend with and if you forget your flip flops there’s no burning tar seal either. Our modern and spacious 3 bedroom apartments are fully self contained and are perfect for the longer stay with the family with fully equipped kitchens and laundries. You’ll adore the space, decor and the views, and you get a choice of ceiling fans or air conditioning to keep the apartment comfortable for you. There’s free wi-fi internet throughout the resort complex, from the foyer to the outdoor entertainment area and especially all apartments. You can take it for granted that we have great wi-fi here. There’s also Foxtel in every apartment with a full range of sports, movies and kids channels. Leave no one behind here. Get your fix of footie, fashion tv, or keep the rugrats entertained if you’ve had enough of kicking back in the spa or pool in the outdoor entertainment area. If in the rare moment you’ve run out of ideas for things to do on the Gold Coast you can always have a look at our activities page, there’s a ton of fresh ideas to explore and if there’s something you like you can book direct at no extra cost to you. What’s more if you want to have a real holiday with no driving, that can be arranged too. Park your car in our secure undercover parking and walk or use the excellent Gold Coast public transport system. Now that you’ve found our Surfers Paradise beachfront apartments you better book at The Dorchester on the Beach apartments. You won’t find better value or position on Surfers Paradise. Come stay and play at our fabulous Gold Coast accommodation Broadbeach. You’ll love everything about the Dorchester on the Beach. Our luxury 3 bedroom apartments put you in the best position to enjoy Surfers Paradise and Broadbeach. Whether you and your family want to enjoy the beach life in Surfers Paradise, or kick back and relax around our beautiful outdoor heated pool and barbeque, the choice entirely yours. Your entertainment options are well covered too with Jupiters Casino so close to our resort. Jupiters Casino is just seven minutes by car, or you can easily walk. It’s also a shoppers delight with our location, the Oasis Shopping Centre is as close as Jupiters Casino, you’ll find your nearest Woolworths here, a food court and several deli style offerings. Not far away is the Pacific Fair Shopping Centre. With their recent redevelopment there’s even more stores, restaurants, cafes and bars to keep you and your family happy and entertained on your holiday on the Gold Coast. Travel North to Biggera Waters and you’ll find Harbour Town Outlet Shopping Centre. Get your big brand fashion wear and homewares for much less than retail. Access to the Gold Coast Highway is a breeze too. Head west and connect with the Pacific Motorway. The suburb of Oxenford is just minutes away from there, home to most of the Gold Coast’s major theme park attractions; Warner Brothers Movieworld, Wet ‘n’ Wild, The Australian Outback Spectacular and Dreamworld. Once you know the way, going back is easy; because who could possibly fit that much fun into just one day? Make sure you visit Southport and Main Beach as well. There’s plenty to see and do there, and you can cap off your Gold Coast theme park adventure at Sea World. Or, maybe experience the undersea rapture first. After all it is the closest, and mums and daughters can get their fix of glamour and high fashion at Palazzo Versace in Main Beach. Make sure you come stay and play at our fabulous Gold Coast accommodation Broadbeach, Dorchester on the Beach. It will be fun. Book now. How about these Broadbeach beachfront apartments for your next holiday on the Gold Coast. The Dorchester on the Beach apartments have absolute beachfront position with nothing in the way between you, the sand, and the ocean. Unless of course you count the transit through the fabulous outdoor entertainment area with the large heated pool and stainless outdoor kitchen beside the pool. Take your pick for your zone of chill. Sand and sea or rocking it poolside. You’ll really be able to get the sand and salt out of your system here on your next Gold Coast beach holiday. The immediately accessible beach is surf patrolled 365 days a year and has consistent surf breaks which are great for novices and riders looking for some easy waves. For more adventurous surfers, there are countless other beaches along the Gold Coast with conditions to suit. You don’t have to go far, but if you head for the southern most part of the Gold Coast down in Coolangatta and even on the other side of the Point Danger at Duranbah, you’ll be up for some challenging surf. You’ll love the spacious 3 bedroom apartments too. They’re fully self contained apartments with sea views that go on forever. Look left for the towers on Surfers, while you’ll be able to make out Burleigh Heads on your right. You’re in the heart of the Gold Coast (walkably close), but not too close to the frenetic energy of Surfers Paradise. Our location is perfect for families who want the convenience of being close to all the fun parts of the Gold Coast, but still enjoy a quieter position. So if you are here for the beach life and everything else that the Gold Coast has to offer, then the Dorchester on the Beach apartments won’t disappoint. Make these Broadbeach beachfront apartments your Broadbeach beachfront apartments on your next holiday on the Gold Coast. Why wait. Book now. When you come to Surfers Paradise you will want to book these Gold Coast beachfront apartments. Why settle for anything less when you are getting the quintessential Aussie beachside holiday here at the Dorchester on the Beach holiday apartments. Our fully self contained luxury apartments are just what you need. Why waste another moment searching. Here in our modern and spacious three bedroom apartments close to Surfers Paradise and Broadbeach you will be able to explore the best that the central Gold Coast has to offer. Roll the dice and play a hand or two of Blackjack before taking in dinner and a show at Jupiters Casino. Your closest Woolworths is in the Oasis Shopping Centre in Broadbeach with Jupiters Casino close by. How about Dracula’s Comedy Cabaret Restaurant where you can get a dinner and a very entertaining show. On the same block is the Pacific Fair Shopping Centre, here is where you level-up you shopping experience with one of Australasia’s largest shopping centres. It’s also been recently refurbished and extended so parking is never a hassle and there have been many new bars restaurants and cafes opening in the centre. It all adds up to an even bigger shopping entertainment experience. Then again, the Gold Coast has a seemingly endless array of shopping centres and destinations for the avid shopper. For instance if you are an enthusiastic outlet shopper, then Harbour Town Outlet Shopping Centre is likely to appeal to you. You can make your dollar stretch a lot further when your buy your favorite big brand fashion and homeware items here. At the other end of the shopping spectrum, Palazzo Versace in Main Beach is a must see experience. Even if it’s to take high tea or to have a drink at one of the specially themed Versace bars, touring the entire Versace complex is worth making the effort for. You may even want to notch up your first theme park visit at Sea World while you are in Main Beach. It’s one of the most impressive aquariums of it’s kind in the Southern hemisphere. Watch in awe as large sharks, stingray and assorted reef fish travel overhead as you view them from underneath. Why settle for anything less when these Gold Coast beachfront apartments when the quintessential Aussie beach side holiday is here at the Dorchester on the Beach holiday apartments. Book now. You’ll want to be here in one of these Gold Coast apartments Surfers Paradise. The Dorchester on the Beach is the perfect accommodation to bring your family for the holiday of a lifetime. Roll out the black tie and cocktail dress glamour for your visit to Jupiters Casino. Roll the dice, turn some cards and catch a dinner and show package for a great night out. If your idea of night time fun includes night clubbing, then a trip to Surfers Paradise may be in order. Whatever kind of entertainment you hanker for, the Gold Coast has it all. Of course it’s not all night time fun. Some of us like to use that time to sleep and use the daylight for maximum fun and here at the Dorchester on the Beach you can. While we are in walking distance of the great Surfers Paradise nightspots, we’re also a comfortable distance away for you to have your quiet enjoyment of our accommodation and facilities. Did we mention that the Dorchester on the Beach has the perfect Gold Coast beachfront location? Set right on the beach, there are no roads to cross, not even an esplanade, just glorious silky white sand underfoot……this is Gold Coast beachfront accommodation at its best. If you have young kids this is worth a million dollars. There’s no need to get in the car for your beach excursion. It’s a simple change into swimmers and sunscreen and they’re away. Rest assured, the beach is surf patrolled for peace of mind. Even before you hit the beach is the hugely popular outdoor entertainment area with a gorgeous heated pool, spa plunge pool beside it, sun loungers and an outdoor kitchen and dining furniture. Perfect for a lazy day in the sun and you want to be in a free wi-fi zone, or great in the evening to wind down after a long day doing theme park excursions. Swim, soak, relax. Grill. Eat. What could be better than that? Now do you want to be here in one of these Gold Coast apartments Surfers Paradise? The Dorchester on the Beach is the perfect accommodation to bring your family for the holiday of a lifetime. Book now. Get the iconic Gold Coast holiday experience here at this Surfers Paradise Beachfront resort. It all starts here at the Dorchester on the Beach. These fabulous luxury apartments have all the space and amenity to make your stay on the Gold Coast smooth and enjoyable. With three bedrooms in these fully self contained apartments you’ll have room for the whole family and space to entertain any visiting friends. Our fully equipped chefs kitchens with stainless appliances and plenty of bench tops are the perfect place to prepare you holiday meals. Choose your level of luxury. We have a range of beachfront apartments with an entry level that we call standard is actually very lovely. They occupy the lower levels and have not been recently refurbished. As you ascend the apartments, our deluxe and superior apartments offer refurbished interiors and newer, designer fittings and furniture. Treat your family to the ultimate in Surfers Paradise luxury accommodation with our oceanfront penthouse. This three bedroom, three ensuite penthouse is spread over three levels with 349 square metres of superbly considered indoor and outdoor space. The open plan living and dining area has spectacular 180 degree views of the entire Gold Coast and the Surfers Paradise Beachfront. The upstairs living space flows through to an luxurious wraparound balcony with a wet bar and covered terrace. Sitting atop is the rooftop terrace with it’s jaw dropping 360 degree view. The outdoor entertainment area is hugely popular, with a gorgeous heated pool, spa plunge pool beside it, sun loungers and an outdoor kitchen and dining furniture. It’s just perfect after day at the theme parks. Relax, unwind in the spa and grill. If you’ve been to Main Beach to visit Sea World why not drop into the fish markets on Seaworld Drive. You’ll be getting the freshest bounty from the ocean, caught locally. The iconic Gold Coast holiday experience is here at this Surfers Paradise Beachfront resort. Book now at the Dorchester on the Beach. Carpe diem, seize the day! We think you’ll really like this Gold Coast beachfront holiday resort. The Dorchester on the Beach is one of best positioned beachfront resorts on the Gold Coast and has one of the best outdoor entertainment areas you can find. The centrepiece of this entertainment area is the gorgeous heated pool and the spa plunge pool beside it. The set is completed with sun loungers and an outdoor kitchen with dining furniture. Perfect for a lazy day in the sun and you want to be in a free wi-fi zone, or good in the evening to wind down after a long day doing theme park excursions; where you can swim, soak, relax, grill and eat. There’s nothing quite like it. All Gold Coast accommodation at this superb resort are fully self-contained three bedroom apartments, but the appealing feature of this lineup of apartments is that they come in four flavours, depending upon the level of luxury that you and your family desire. Ranging from standard, deluxe and superior. But wait, that’s only three kinds. Well, the penthouse apartment is in a class of it’s own. The penultimate Surfers Paradise penthouse suite with no luxury spared. Rest assured, if you’re looking at a price point and you need accommodation for your family, the standard apartments are great value for money. They may not be as elevated as the other apartments, and they may have original fittings and furnishings, unlike the luxury and superior apartments that have been refurbished with newer fittings and furniture, but you get just as much amenity in standard apartments — fully equipped kitchens and laundries, and the same position in the Gold Coast. Treat the family to real Surfers Paradise luxury accommodation with our absolute beachfront penthouse. This is the triple-treat suite; three bedrooms, with three ensuites, spread over three levels with 349 square metres of superb architecturally designed indoor and outdoor space. Savour the open plan living and dining area with the spectacular 180 degree views of the Gold Coast and peer down at the beach front on Surfers Paradise. The upstairs living space extends through to the luxurious wraparound balcony, wet bar and covered terrace. Life is sweet on the rooftop terrace with the impressive 360 degree panorama. While you may never want to step foot outside this magnificent Gold Coast holiday resort, the Dorchester on the Beach is just a few minutes walk from Surfers Paradise and not much further to the heart of Broadbeach with Jupiters Casino, Pacific Fair Shopping Centre and the Gold Coast Convention and Exhibition Centre. Do you think you should book your holiday at this Gold Coast beachfront holiday resort? The Dorchester on the Beach is where you can have it all. This is impressive Broadbeach beachfront accommodation. With absolute beachfront position this will fast become your favourite Gold Coast holiday accommodation. The Dorchester on the Beach is one of the few places that you could count as magical. Close to Surfers Paradise and Broadbeach, so if you want to be in the thick of the Gold Coast action, you can be, while being able to enjoy quiet and relaxed position beside the sea. With many other apartments in the area, there’s often a busy road to cross. If the perils of traffic isn’t enough, forgetting to put your flip flops on to get back to the apartment or even to grab a coffee or an ice cream can be annoying. The delightful Gold Coast three bedroom apartments are perfect for all families with price points to match all budgets with standard, luxury and superior apartments. The standard apartments may not have the same elevation and will not have been recently refurbished and the furnishings may be original. Every part of the Dorchester on the Beach is slick, modern and well considered. From the lobby to the outdoor entertainment area, not to mention the apartments themselves has easy access to the free wi-fi network. Imagine sitting poolside with your social media. If not you, the kids will be rocking it. And poolside is a very good place to be at the Dorchester on the Beach, especially in the evening with the outdoor stainless kitchen — perhaps as good as turning the prawns in your own back yard. Settle into the local scene with a free $75 dinner gift voucher (for stays until the 10th of December 2017) for Australia’s leading BMD NorthCliffe Surf Club just two minutes from the Dorchester on the Beach. The views from the award winning restaurant are a superb accompaniment to the delicious meals that are served there, and how better to capture the local flavour than to dine local. This really is impressive Broadbeach beachfront accommodation. With absolute beachfront position the Dorchester on the Beach will fast become your favourite Gold Coast holiday accommodation. This is the quintessential accommodation Gold Coast. You won’t find any better value for money than the Dorchester on the Beach holiday apartments. We have position, position and wait for it…position. Our delightful Gold Coast holiday resort is set right on the beach. That’s right. There are no busy streets to cross and the only thing that may impede your progress to the gorgeous sandy beach is the superb outdoor entertainment area. Complete with a large heated pool, spa plunge pool, sun loungers and the epic stainless outdoor kitchen. Grill your heart out. We’re also minutes away from Surfers Paradise and right opposite the Broadbeach centre. We’re literally in the heart of the Gold Coast and a comfortable remove from the exuberant nightlife of Surfers Paradise. Fun when you want. Peace and quiet when you want. You can’t beat that. You’ll love our roomy apartments too. There is space for everyone to relax and the views of the ocean go on forever. There’s a gentle reminder if you shift your gaze left that Surfers Paradise is still there and looking south Burleigh Heads looms down the coast like an expectant friend. Of course you could say that about most parts of the Gold Coast, there’s a feeling of familiarity and excitement. It makes you want to just get in amongst it all, and it all starts here at the Dorchester on the Beach. From here, Main Beach and Southport are a stones throw. Sea World is the aquarium experience that is awe inspiring to watch. Large live sharks, stingray and assorted reef fish travel overhead as you view the aquarium from under the water. Then there are the wildlife encounters and shows. That’s an easy and exciting theme park experience to cross of the list. The balance of most of the other theme parks are out in Oxenford, just a thirty minute drive away. We can guarantee that you will make that trip more than once during your stay. Don’t miss this quintessential accommodation Gold Coast. You won’t find any better value for money than the Dorchester on the Beach holiday apartments. Book your Gold Coast holiday accommodation now. Our Gold Coast beachfront apartments Broadbeach are one of Surfers best accommodation destinations you’re likely to find. Situated right on the foreshore, the Dorchester on the Beach holiday apartments offer you an idyllic holiday by the sea. Right beside the sea where there is nothing but sand between the resort and the ocean. That’s really just the first great aspect of this property you will enjoy. The next is the Dorchester’s great proximity to Surfers Paradise and Broadbeach where you get the best of two quite different Gold Coast destinations. For those seeking the brash exuberance of Surfers Paradise, the Dorchester on the Beach is just a stones throw away. Shop at the beachfront markets every Wednesday, Friday and Sunday nights along the stretch of coast that features over 120 stalls. Browse the fashion, jewellery, accessories, artworks, photographs, beauty products and home wares. There’s usually a memento that will catch your eye. Along Cavill Avenue and the surrounding area you’ll find boutiques and shopping centres galore. For up to the minute beachwear and fashion this is the area where you’ll find it. Broadbeach provides a more relaxed and discerning experience. Bot quite as frenetic as Surfers, Broadbeach has a unique range of attractions such as Jupiters Casino and the Gold Coast Convention and Exhibition Centre. There’s always something happening at these venues. Check their websites for their most current shows and events. For lovers of cabaret and high camp, Dracula’s Comedy Cabaret and Restaurant will have you in stitches. The Pacific Fair Shopping Centre is also nearby in Broadbeach. One of Australasia’s biggest shopping centres, this is worth visiting for a day of lazy mall action. With it’s recent refurbishment there’s several new bars, cafes and restaurant that have moved in. The emphasis is on having fun. Back at the apartments, you’ll enjoy the modern and spacious interiors, and well-equipped kitchens and laundries. Just the thing for longer stays. Wi-fi is free and available throughout the resort, from your apartment to the outdoor entertainment area. Come in and take a look around our website. You will love our Gold Coast beachfront apartments Broadbeach when you get here. Book now at the Dorchester on the Beach. Everyone wins. This is it. The Dorchester On the Beach offers accommodation In Surfers Paradise that you should grab with both hands. It’s the destination for travellers looking for accommodation that is close to the beach (you can’t get any closer), and central to Cavill Mall and Broadbeach. Shopaholics, teenagers and everyone else in the spectrum will find this their ideal holiday playground. The Dorchester on the Beach Surfers Paradise beach resort has accommodation that will suit a wide range of tastes and budgets. Our fully self contained one and three bedroom resort apartments are ideal for couples or families looking for accommodation that puts them in the heart of Surfers Paradise. Choose from our more affordable unrenovated three bedroom apartments, or opt for our modern 4/4.5 star apartments for a more luxious stay. All amenities are provided for in all apartments — large and spacious living areas, glorious oceanfront views (depending on which level), all mod cons in the kitchen, and of course air conditioning, Foxtel and complimentary wi-fi. For the ultimate Gold Coast upgrade why not consider our penthouse apartment. Spread over three floors, with 3 bedroom, 3 ensuites, this penthouse apartment offers 349 square meters of superb indoor and outdoor living. The open plan living and dining area provides spectacular 180 degree views of the entire Gold Coast & Surfers Paradise. Don’t forget there’s another level with a second living space that flows through to an expansive wraparound balcony with a magnificent 360 degree panoramic view on the rooftop terrace. With our central location and range of apartments to suit every budget, it’s easy to see why so many people make the accommodation in Surfers Paradise, Dorchester on the Beach their home base when holidaying on the Gold Coast. Go ahead and make your family’s day. Book now. The Dorchester on the Beach is Broadbeach accommodation on the beachfront. Look no further if you are searching for Gold Coast holiday accommodation that is close to Surfers Paradise, Broadbeach and is on the beach. You can get no closer. Really. Enjoy the proximity of the Dorchester on the Beach to Jupiters Casino and Cavill Mall. The kids will be happy, mum and dad will be happy, and if you bring the grandparents they will be more than happy going to dinner and enjoying a floor show at Jupiters Casino. The kids, maybe not so much, but that’s why there’s something for everyone on the Gold Coast. With much of our accommodation in three bedroom apartments, most families find the Dorchester on the Beach to be the ideal place. Oodles of space and plenty of amenity mean that everyone gets their own privacy and all the creature comforts of home are available in the apartments. Add a few nice Gold Coast touches like the superb Pacific Ocean views and balconies from which to enjoy them, and great proximity to the beach — out the back door and through the pool gates and you’ll have to pinch yourself to check if you are not living inside a dream. The Dorchester on the Beach is the quintessential Gold Coast holiday accommodation. Beach, sun, shopping, restaurants, cafes, surf clubs, golf clubs and so much more like the famous Gold Coast theme parks. At a forty minute drive from our Broadbeach location, you’ll be there before they can say “are we there yet”. See Batman, Yosemite Sam et. al. at Warner Brothers Movie World, get really wet n’ wild and if you stay for dinner then The Great Australian Outback Spectacular has a spectacular dinner and show, complete with bushmen riding dancing horses. It’s true. After a couple of days of theme park adventures you won’t be able to fit that much more in. Can you have too much fun? Come and see if you can. Even if you have to stop, at least the Dorchester on the Beach is Broadbeach accommodation on the beachfront. Now relaxing on the beach doesn’t sound so bad does it, especially when it’s in Surfers Paradise. Book now. There’s nothing quite like the excitement of a holiday on the Gold Coast. Even better is Gold Coast accommodation Surfers Paradise like the Dorchester on the Beach. Situated between Surfers Paradise and Broadbeach, the Dorchester on the Beach is the perfect location for families visiting the Gold Coast. Every member of the family is catered for in terms of recreational opportunities. Whether the holiday is with young families, families with teenagers, or older groups the locale provides recreational opportunities for everyone. It’s just a quick walk up to Surfers Paradise. There’s plenty of choice when it comes to shopping, or just hanging out. Cavill Mall, named after Jim Cavill, the godfather of the hospitality industry in Surfers Paradise, is a popular retail destination for visitors to the Gold Coast. It provides visitors with a broad array of restaurants, shops and nightclubs steeped in the surf culture after which Surfers Paradise is so-named. There’s lots of regular live music performances from buskers lining the street at night and surf art and paraphernalia to experience during the day. The arcades and streets nearby are brimming with fantastic (cheap) Asian food, surfboard shops, t-shirt emporiums, and nightclub entrances. Even more appealing is that the Dorchester on the Beach really is on the beach. It’s just a stroll through the gates of the pool, and you’re there with the warm white sand between your toes. The beach is even surf patrolled too, for peace of mind. The accommodation at the Dorchester on the Beach is mainly self contained three bedroom apartments with a sprinkling of single-bedroom apartments catering to a range of budgets from lavish 4.5 star apartments to the more modestly priced three star appointed apartments. These entry level apartments are perfect for families who want the views, location and roominess of spaciousness of three bedrooms close to the excitement of Surfers Paradise. Take a good look at your options for accommodation Gold Coast Accommodation Surfers Paradise, because we know at the Dorchester on the Beach you’ll have a great time. Book now for your fun-filled and action-packed holiday on the Gold Coast. Book your next holiday in these Broadbeach holiday apartments. If you’re looking for holiday accommodation in a central location, close to the beach and shopping, then the Dorchester on the Beach holiday apartments should be high on your list. Close to the Gold Coast entertainment district, you’ll be in for a fun-packed holiday staying here. The Dorchester on the Beach is perfect for beach and surf lovers. With the beach right on the back doorstep, the warm white sands of Surfers Paradise are just a gate opening from the resort. Take your surf board or your body board into the waves for immediate beach gratification. The whole family will also love this Gold Coast family accommodation on the beach. Offering roomy and spacious three bedroom apartments that are equipped with all the mod cons, these apartments will be your home away from home while you holiday on the Gold Coast. The kitchens are generously proportioned like the rest of the apartment, and also include a fully equipped laundry, also so essential for longer trips away. When the going get’s tough and chill out time is required there are plenty of options to eat out or dine in. For the dine-in guests the apartments also come with Foxtel and free wi-fi. There’s also the heated pool and courtyard — a great place to entertain, especially with the BBQ pavilion right beside the pool. The attractions of Broadbeach are also nearby. Jupiters Casino is just minutes away and so is the Gold Coast Exhibition and Convention Centre. Whether you enjoy a floor show, or a good meal out in a white tie or black cocktail dress, Jupiters Casino is where you can bask in glamour. The lifestyle expos at the Gold Coast Convention Centre are also well worth looking out for — you never know when you might come across a life altering movement or idea. Book your next holiday in these Broadbeach holiday apartments. If you’re looking for holiday accommodation in a central location, close to the beach and shopping, then the Dorchester on the Beach holiday apartments will make your day. Week. Month even. Go on. Here’s to fun. Located in the heart of Broadbeach, the apartments at our Broadbeach resorts at the Dorchester on the Beach have views that will take your breath away. Panoramic views of the Pacific Ocean and the Gold Coast coastline from our modern holiday apartments set the scene for . Choose from one of our spacious three bedroom apartments, and your level of luxury for your dream holiday on the Gold Coast. Our apartments come with fully equipped kitchens, air conditioning and balconies that are perfect for taking in the vistas of the Gold Coast coastline. Whether you stay in our luxurious four and a half star Superior apartments or our Standard three star apartments, you’ll still enjoy the same roomy and spacious layouts. As you’d expect of a four and a half star luxury abode the fittings and furnishings, and appliances are of a higher standard. The Standard apartments provide guests with an opportunity to enjoy the proximity to one of the Gold Coast’s premiere locations at an affordable tariff. Enjoy easy access to award winning restaurants, cafes, and shopping or take a short drive to the famous Gold Coast theme parks and championship golf courses. Beachlife can be found at our doorstep, just beyond our heated pool and BBQ area. Recline in one of the sun loungers or lay your towel on the warm sand of the beach. Recreational opportunities are just a stones throw away. The G-Link light rail can take you to and from Jupiter’s Casino, the Gold Coast Convention Centre, or Pacific Fair Shopping Centre, north to Surfers Paradise, Southport, Griffith University and Gold Coast Hospital. Keep your car parked in our secure under cover parking and enjoy the freedom of travelling on the first class Gold Coast public transport system. Make sure you book into Broadbeach resorts at the Dorchester on the Beach. The panoramic views of the Pacific Ocean and the Gold Coast coastline will take your breath away. Wake up to the Pacific Ocean breeze. Our Gold Coast beachfront holiday accommodation located in the heart of the Gold Coast between Surfers Paradise and Broadbeach, enjoys an absolute beachfront location. The Dorchester on the Beach provides direct access to a patrolled surf beach. The only thing between the Dorchester on the Beach building and the beachfront is our beautiful outdoor swimming pool and BBQ entertainment area. Relax by the beachfront pool area, put the towel down on the warm sands of the beach or take a plunge in the ocean. Surfs up. It’s not just at the beach where you’ll enjoy the surf culture, take a walk to Surfers Paradise and soak up the ambience of the cafés, shops and restaurants. When night falls there’s also the bars and nightclubs that make Surfers Paradise such an vibrant and youthful holiday destination. The Dorchester on the Beach is also a short stroll from Broadbeach, minutes from the Pacific Fair shopping centre, the Gold Coast Convention Centre and Jupiter’s Casino. Don’t forget the Gold Coast theme parks. At our tour desk located at reception we can look after all your tours, theme park tickets and we can organise your shuttle bus to and from the airport. Having fun on the God Coast couldn’t be easier. The Dorchester on the Beach is only a ten minute drive away from international golf courses, public and private hospitals, Gold Coast Turf Club and the forty two kilometres of the Gold Coast’s beautiful beache. Just for a change, there’s the hinterland towns and villages that make for a very picturesque adventure. Towns such as Maleny and Monteville will transport you back to another time and place where you can peruse the arts, crafts and antiques, not to mention sample the local produce, preserves, smallgoods and artisan foodstuffs. A holiday in Gold Coast beachfront holiday accommodation sounds idyllic doesn’t it? Our Broadbeach family accommodation, the Dorchester on the Beach is the perfect place to stay on the Gold Coast, and it’s also close to Surfers Paradise. With the beach at your doorstep, you don’t have to cross the road to reach the sand. Access the beach via the gates of the pool courtyard and there you are with the warm golden sand trickling between your toes. The beach in front of the Dorchester on the Beach is also fully patrolled, as long as you swim between the flags. With Broadbeach so close, there’s plenty to see and do. There’s also the Gold Coast Convention and Exhibition Centre nearby. If you thought that the Centre was all about business, you will be surprised by the range of events that are held there. Check out the lifestyle expos, concerts and events at their website.For more beach from a different position on the Gold Coast that is nearby check out the Kurrawa Beach and the Kurrawa Surf Club. Guests are welcome to experience the hospitality of the Kurrawa Club. After a day in the surf, wrap it up with a meal at the club. Enjoy a cold drink and a meal with a view. Even the most careful eaters are catered for with a broad range of meals including vegetarian and gluten free options. There’s nipper meals for the young ones, along with favourites like ‘Chicken Parmi’. That’s dinner. Done. The fun along the coast doesn’t stop there. Keep strolling south along the beach and you’ll discover the wonderful greenbelt with the accompanying parks which are so good for younger families. Just beyond Broadbeach is Mermaid Beach. Mini golf enthusiasts can try their hand at not one but three themed 18-hole courses at Putt Putt Golf with Jungle Trail, Fun Run and the Waterways Cove. Encounter exotic animals, overcome motorised obstacles and cruise the water filled putting course. Our Broadbeach family accommodation, the Dorchester on the Beach is the perfect place to stay on the Gold Coast. Why not book today and start your holiday of fun. Here’s to Surfers Paradise beachfront accommodation. There’s none closer to the beach than the Dorchester on the Beach. With plenty to do with your holiday on the Gold Coast, you’ll want to make sure that you’re staying in the heart of the action. Set between Surfers Paradise Cavill Mall and Broadbeach, our holiday apartments make the perfect stay for families with our expansive fully self contained three bedroom apartments. We offer a choice of standard to luxury appointed apartments. All our apartments share the same spacious layouts, views and facilities. The Deluxe and Superior apartments offer 4 star plus levels of luxury. Or you may choose to stay in the Standard apartments. These offer excellent value for money, while not as modern as the Deluxe and Superior apartments, Standard apartments provide families with the opportunity to stay in a large beach front holiday apartment at more affordable prices. Just up the road is the Skypoint Observation Deck with some of the best views of the Gold Coast and the Hinterland. The view is a quarter of a kilometer above ground. Survey the Gold Coast from the safety of the observation deck, or go for a fully harnessed walk on the gantry and external stairs above the observation deck for extra thrills. The Surfers Paradise holiday is not complete without a visit to the famous Gold Coast theme parks. Experience the excitement and exhilaration of White Water World and Wet n Wild. Everyone loves Warner Brothers Movieworld, while the Great Australian Outback Experience provides a rollicking good night out with bush tucker inspired cuisine and a floor show extravaganza complete with dancing horses and Aussie bushmen. Don’t forget, the Surfers Paradise Beachfront Markets along the Surfers Paradise Foreshore is in session every Wednesday, Friday and Sunday night from 3pm to 8pm. Soak up the carnivalesque atmosphere while you stroll after dinner. Snap up a souvenir from one of the stalls that includes more than 100 market stalls of artworks, photographs, beauty products, fashion, jewellery, accessories and homewares. Book your Surfers Paradise beachfront accommodation at the Dorchester On The Beach today. What are you waiting for? This is Broadbeach casino accommodation that will satisfy any family’s requirement for space. The Dorchester on the Beach is perfect for accommodating groups of up to seven people. Enjoy the luxury of space in these three and four star plus apartments. With a range of accommodation with different star ratings, you can get the kind of accommodation you need for a price you like, whether you are looking for a deluxe apartment experience, or a standard apartment with a tariff to match. Our three bedroom apartments with accompanying ensuites for each bedroom are just perfect for couples, or guests who have come for the Jupiters Casino experience. It’s just a few minutes drive, otherwise the trip to and from the Dorchester on the Beach Apartments are on some handy public transport routes, so getting there is easy. For a fun passage to the casino, the Oasis Mall Monorail provides free rides to the casino. As well as the full suite of entertainment options at the casino, Broadbeach is brimming with other entertainment options. The Gold Coast Convention and Exhibition Centre is also a venue with a full calendar of events. It’s not just business conferences and expos. Check out what’s on at the centre here. You’ll also find the Kurrawa Surf Life Saving Club nearby too if you wish to dial it down to casual. The Kurrawa Surf Club like so many other Gold Coast surf life saving club institutions is a good place to visit for a cold drink, or an easy night out. Also nearby are the BMB Northcliffe Surf Club and the Surfers Paradise Surf life Saving Club for just a couple more easy options. Otherwise, we’ve prepared our own list of local favourites. These Surfers Paradise restaurants are tried and tested and meet our stringent standards for recommendation: we like them, and we hope you do too. So whether you’re after Broadbeach casino accommodation, or central Surfers Paradise holiday apartments for the family, the Dorchester on the Beach should be at the top of your list. Book now to avoid disappointment. This accommodation in Broadbeach is smart, light and airy. It’s also close to Surfers Paradise. The Dorchester on the Beach is your perfect Gold Coast accommodation destination. With the beach at your doorstep, and the rest of central Gold Coast a stones throw away, you could call a stay at the Dorchester on the Beach an unfair advantage. Especially when all other resorts nearby require guests to cross the road to get to the beach. You’ll find no such thing here. Beach access is through the gates of the pool area. The Dorchester on the Beach has a range of Broadbeach apartments to suit every family’s budget. Specialising mainly in three bedroom accommodation, all apartments share similar generous layouts and glorious ocean views but range in standard, deluxe or superior ratings. Choose your level of style and finish. Standard apartments may have some renovated features but are in the main, have original fittings and furnishings. They may not have as many modern features and fittings as the highly renovated deluxe and superior rated apartments, but for families that require a large beach front holiday apartment, standard apartments are a good way to extend the holiday budget without compromising on space. Of course for much of the time, you and the family will be out and about experiencing what the Gold Coast has to offer. With Broadbeach nearby there’s plenty to see and do. Grab the monorail to Jupiters Casino from the Oasis Shopping Centre. It’s fun and it’s free. There’s also the Gold Coast Convention and Exhibition Centre. Check out the lifestyle events, expos and concerts on their website. You’ll be surprised by the range of events that are held there. So for accommodation in Broadbeach that is also close to Surfers Paradise, the Dorchester on the Beach is your ideal Gold Coast accommodation destination. Book now. You will find Dorchester on the Beach, offering fantastic Gold Coast accommodation and regularly reviewed as “The Best Gold Coast Family Accommodation at the centre of Broadbeach and Surfers Paradise and right on the beach”… The Dorchester on the Beach have luxury affordable Holiday apartments perfect for families. Find your perfect Gold Coast accommodation for families at Dorchester on the Beach. We are located 10 metres from the sand on Surfers Paradise beach and close to Seaworld, Dreamworld and WhiteWater World, MovieWorld, WetnWild and the Gold Coast’s 6th theme park Surfer Paradise. Shopping doesn’t get any better than on the Gold Coast within a short drive from us you will find Pacific Fair, Robina Shopping Centre, and the factory direct outlets of Harbour Town as well as the upmarket Sanctuary Cove and Marina Mirage shopping areas. We are close to Jupiters Casino and Gold Coast Convention and Exhibition Centre at Broadbeach. Beachfront markets are located at Surfers Paradise and Broadbeach with shopping and activities for all the family to enjoy or you may wish to go trackside at the Gold Coast Turf Club for the Magic Millions Carnival or experience the buzz of the V8 Supercars Gold Coast 600. For the health conscious Dorchester on the Beach is located on the corner of Garfield Terrace and Fern Street and is the perfect viewing platform for the Gold Coast Marathon, many participants enjoy staying at Dorchester on the Beach while their families cheer them on from the balconies and curb side. The Gold Coast is now officially the 8th world surfing reserve and has produced more number one world surfing champions than anywhere else in Australia. If you would like to bring your surf board, learn to surf or hire a surf or boogy board from us, you are sure to find a great break easily in front of Dorchester on the Beach. Come with friends and stay in our 1 or 3 bedroom apartments overlooking these spectacular surf breaks from Snapper rocks to Main Beach Narrowneck – it is all an easy short drive to some of the best surf breaks in teh world right on the doorstep of the Dorchester Gold Coast. Golf Course abound with over 100 world class public and private golf courses to enjoy. A short 30 minute drive from Dorchester on the Beach places you at the Gold Coast Hinterland with beautiful areas to discover and enjoy including Lamington National Park with the glow worm caves, the natural arch rock pools, rainforest trails, Mount Tamborine known as the green behind the gold with wineries and great restaurants and cooking schools along with the spectacular elevated rainforest canopy walk & skywalk cantilever viewing platform with stunning views back across the Gold Coast. So for your next Gold Coast Holiday near Broadbeach or Surfers Paradise, check out the Dorchester on the Beach. Luxury 3 bedroom beachfront accommodation near Broadbeach and Surfers Paradise for Family and Romantic Luxury Resort accommodation. You’re looking at excellent accommodation Surfers Paradise. Our apartments are close to all the major Surfers Paradise holiday attractions. The restaurants, shopping and the beach. Get more out of Surfers when you ascend the 77 levels of the Skypoint Observation Deck. Check out the ultimate views of the Gold Coast and the Hinterland. At 270 metres above ground you can view the Gold Coast from the safety of the observation deck, or take the grand tour outside to the top, in a fully harnessed walk on the gantry and external stairs above the observation deck. The rest of your Gold Coast experience may pale in comparison after visiting the Skypoint Observation Deck but when you come down to earth you can switch it up on your visits to the Gold Coast theme parks. Continue the excitement and exhilaration with the extreme water fun of White Water World and Wet n Wild. Families with younger kids will find milder relief at Warner Brothers Warner Bros. Movie World, while older families and those with serious appetites will really enjoy the Great Australian Outback Experience. It’s a spectacular floor show with dinner, dancing horses, larger than life Aussie bushmen with lassoes and more besides, along with the menu with nothing but good old classic Aussie tucker. That’s barbeque and bush tucker, with a nicer presentation than your usual outback meal, and served with generous portions. Don’t forget to bring your appetite. Mall rats have a clear run to Cavill Mall. The mall experience can be had at The Paradise Centre, located on the corner of Surfers Paradise Boulevard and Cavill Mall. With its one hundred metre frontage opposite Surfers Paradise Beach you won’t miss it. The Surfers Paradise Beachfront Markets along the Surfers Paradise Foreshore are in session every Wednesday, Friday and Sunday night from 3pm to 8pm. You’re sure to find a souvenir from one of the stalls, with fashion, jewellery, accessories, artworks, photographs, beauty products and home wares among the more than 100 market stalls. That’s a good start to your Gold Coast holiday. Our accommodation Surfers Paradise here at the Dorchester On The Beach will provide you with a very enjoyable holiday stay on the Gold Coast. This is Surfers Paradise beachfront accommodation that has it all. Look no further than the Dorchester On The Beach on the edge of Surfers Paradise. You can have the convenience of walking to the heart of Surfers without living in the middle of the hustle and bustle. You’ll appreciate our position close to Broadbeach too. Our absolute beachfront location has direct beach access, and with superb views from each apartment, these holiday apartments are the perfect choice for singles, couples and families holidaying on the Gold Coast. Choose from fully self contained 1 and 3 bedroom apartments which are spacious, feature modern decor, full kitchen and laundry facilities and that fabulous north facing balcony. You will love the on-site leisure facilities which include a large heated pool, BBQ and dining area, undercover and secure parking, on site managers, wi-fi throughout the resort and direct access to the surf patrolled beach. This gorgeous stretch of golden sand is perfect for swimmers, walkers, runners and surfers. The Dorchester On The Beach is within easy walking distance to the heart of Surfers Paradise and Cavill Avenue where you can shop till you drop with well known brands and intimate boutiques. It’s second to none as a holiday destination, with great hospitality. You’ll enjoy relaxed dining in beachside cafes, or at fine dining restaurants. Experience the award winning day spas and salons. Go on, you deserve it. Take on the Surfers Paradise after hours scene. The wide range of stylish pubs, clubs and lounge bars are world famous. At just a short drive to all the Gold Coast Theme Parks the Dorchester On The Beach is the ideal beachside base for your holiday. Surfers Paradise on the Gold Coast is the perfect holiday destination to relax and reconnect with family. Our Surfers Paradise beachfront accommodation is the perfect choice. Book now. Our resort accommodation Surfers Paradise will hit the spot. Located close to Surfers Paradise with the beach right at your doorstep, and Cavill Mall just down the road, we have the setting for the perfect Gold Coast holiday. Visitors looking for the penultimate urban beach experience in Surfers Paradise will find the Dorchester On The Beach a very good match. Wake up and smell the ocean. Every fully self contained 3 bedroom apartment faces the ocean. With wall to wall windows and glass balustrades, you will see the ocean for miles. Families and couples will not be content just looking out the window when our apartment resort sits right on the beach with direct access. Who can blame the kids if they want to go for a swim, or play on the beach and make sandcastles in the very first thing in the morning. Swimmers will have to be content to wait for the surf patrol to arrive for duty. Until then, the kids will have to a lovely heated pool, barbeque and outdoor dining setting. The building has wi-fi coverage thoroughout, and Foxtel to fill in the evenings if you’re not eating out. The kitchen facilities in the open plan apartments are all superb, and very well-equipped with modern stainless appliances. Seaworld, your closest major theme park attraction from the resort fifteen minutes away, just north of Main Beach. This major marine animal park offers amazing once in a lifetime encounters with ocean wildlife and exciting rides for all ages. The other Gold Coast theme parks are to be found in the suburb of Oxenford, a thirty minute drive away with the greats such as Dreamworld, White Water World, Warner Bros. Movie World and Wet n Wild all nearby. Our resort accommodation Surfers Paradise will hit the spot. Located close to Surfers Paradise with the beach right at your doorstep, you won’t want to stay anywhere else. Book now at the Dorchester On The Beach. You’ll love our accommodation Broadbeach. Not only is it close to the main attractions of Surfers Paradise, but it also has a great position on the Gold Coast in general. You will find the Dorchester On The Beach, on the beach at Broadbeach. Our gorgeous and versatile fully self contained 3 bedroom apartments offer stylish and spacious holiday accommodation on Broadbeach, Gold Coast. Our modern and stylish apartments are light, airy and feature contemporary furnishings and fittings that would be at home in the pages of any interior design or architecture magazine. What you will notice when you do come and stay is that our apartments are very liveable. There’s plenty of space for all the members of your family to relax, whether it’s on the balcony on the sun loungers, on the couch or hanging at the breakfast bar in the kitchen. All the mod cons are here too. Wi-fi, Foxtel and air conditioning. Too easy. Even the fully equipped kitchens are a pleasure to work in. The stainless appliances, modern benchtop surfaces and glass splash backs help to make entertaining and meal preparation a breeze. Couples looking for luxury accommodation on the Gold Coast should consider the Dorchester On The Beach. Make an effortless upgrade your holiday accommodation. Our one bedroom apartments are actually the 3 bedroom apartments with 2 of the bedrooms locked off. Enjoy the extra space in the living, dining and kitchen areas, with the balcony amenity too. The resort facilities are very user friendly too. Whether you want to go swimming in the pool, or enjoy the golden sands of the beach you just need to walk down to the pool area. Private beach access is through the gates. There’s even an outdoor dining lounge area with BBQ facilities. The holiday life is easy at Broadbeach. You’ll love our accommodation Broadbeach, and you’ll love our great position on the Gold Coast. Book now. Broadbeach Gold Coast holiday accommodation is here. The Dorchester On The Beach offers superb beachfront apartments just minutes away from Surfers Paradise. Our accommodation consists entirely of fully self contained three bedroom apartments. These you will find incredibly spacious and designed for the Gold Coast holiday life. With views forever looking up the Gold Coast to Main Beach and beyond and south you’ll get views of Burleigh Heads and can catch glimpses of Coolangatta and Tweed Heads. You’ll feel right at home in our apartments and quite apart from choosing the level you would like to stay, you can choose the level of luxury as well. We offer standard, deluxe and superior apartments. All apartments have the same layouts, but vary in terms of age of furnishings and refurbishment. The newer apartments are graded either deluxe or superior. Hop over to the accommodation pages to see exactly what you are getting. We have photos of most of our apartments. Our Broadbeach position are perfect for holidays, you are staying away enough from the razzle and dazzle of Surfers to have a relaxing holiday, with the convenience of Surfers just down the road if you and your kids wish to enjoy the busier vibe. This is the perfect location for families to holiday on the Gold Coast. Travelling from Broadbeach to the Gold Coast theme parks is a great deal easier than exiting Surfers Paradise. Get onto the State Route 90 and head west until you merge with the M1. Then it’s north until you hit Oxenford. then you’re there in the heart of theme park country. Where to begin? You have the choice of Movieworld, Wet’n’Wild and the Australian Outback Spectacular. We can guarantee you and the kids will want to take full advantage of this opportunity for fun, which is why we suggest taking a look over here at our activities page. You’ll get a chance to see all the major Gold Coast attractions on one page, and book some special deals there too. You’ll find the perfect Broadbeach Gold Coast holiday accommodation here, the Dorchester On The Beach, the perfect resort from which to base your Gold Coast holiday. Why wait. Book now. The beach life doesn’t get better than this. Our Broadbeach accommodation beachfront delivers you to the warm golden sand of the Gold Coast. At the Dorchester On The Beach, as our name says, we are right on the beach. There are no hazardous roads to cross. You and your kids have free and easy access to the beach from the pool courtyard. Just pop the child-proof latch and the beach is before you. What could be easier than that. As long as you swim between the flags, you’ll be under the watchful eye of the surf life saving patrol. At the Dorchester On The Beach Broadbeach we have luxurious three bedroom apartments that make the ideal holiday accommodation for families or groups wanting a bit more space. Couples looking for a romantic getaway on the Gold Coast need not feel excluded. Here our one bedroom apartments are simply the three bedroom apartments with two of the bedrooms locked. You get to enjoy the luxury of space and the magnificent fittings and furniture of a three bedroom apartment while paying what you would for just a one bedroom apartment. To add to the versatility of this arrangement we have apartments that have been renovated at various levels. If you are looking to reduce your accommodation spend, you can always opt for the standard apartments. The deluxe and superior apartments have tariffs in line with their level of refurbishment. The standard apartments are good value for money and provide comfortable stays. The Broadbeach has a lot to offer both families and couples. The abundance of cafes, restaurants and surf clubs means that finding a dinner destination for the evening is never difficult. The local BMD NorthCliffe Surf Club for instance has the perfect drop-in restaurant and will offer a discount in conjunction with a stay at the Dorchester On The Beach. See our offer here for a special Dinner Voucher for new direct bookings. This offer runs until December 2016 and is a great way to get a feel for Broadbeach. Make sure you book at our Our Broadbeach accommodation beachfront. Like we said, the beach life doesn’t get better than this. You’ll love our Surfers Paradise accommodation Gold Coast location. The Dorchester On The Beach is a superb example of holiday accommodation right on the beach of Surfers Paradise. This is superb accommodation in a premium location with fabulous shopping destinations too. It should also be called Shopper Paradise. Wander across to the Oasis Shopping Mall, it’s just a five minute walk. There you’ll find your nearest Woolworths there for stocking up, and also the monorail to Jupiters Casino, although you will find grabbing a taxi or uber easier. In Surfers Paradise, you’ll find Cavill Mall and the surrounding area are an excellent area for beach and surf fashion, and it’s just minutes away. Around the corner, Cavill Lane is the hot new shopping precinct for food, fashion and technology.With two levels of shops, restaurants and cafes, including an Apple reseller. This boutique area is home to international, national, and local fashion brands. Also another great place to drive. There is a secure underground car park beneath the Cavill Lane shops. For the big shopping experience Pacific Fair shopping mall is nearby in Broadbeach. One of the largest malls in the Gold Coast that has just been refurbished, it boasts a full line of David Jones, and other new operators like Target, Kmart and Big W.Parking is plentiful too, with plenty more added in the upgrade. Stopping for refreshments or a meal is also very convenient too, there are plenty of new dining and bar experiences at Pacific Fair that have opened too. It doesn’t all have to be glitz and glam, there are plenty of opportunities to go surfing too. Right on the beach outside the Dorchester On The Beach, as our name so evocatively suggests, we occupy absolute beachfront position in Broadbeach. Just step through the gates of the pool at the back and you’ll be on the beach. It’s usually a reliable surf beach, with left and right breaking waves. Beginners will be able to surf with the assurance of a soft landing on the sandy bottom if a ride does not end well. Our Surfers Paradise accommodation Gold Coast location is perfect. Book now at the Dorchester On The Beach. For handier Broadbeach accommodation Gold Coast that you really can’t go past, the Dorchester On The Beach offers fully self contained 1 and 3 bedroom luxury apartments sitting right on the beach. Slip through the pool courtyard gates onto the lovely warm golden sand and take that invigorating swim in the surf. Rest assure this stretch of beach is fully surf patrolled, so whether it’s just yourself, or you’re taking your kids in for a frolic on the waves, as long as you swim between the flags you’ll be under just fine. Guests on a less strenuous holiday regimen can exercise their right to relax on the sun loungers beside the beautiful heated pool. Later in the day, guests are encouraged to make full use of the outdoor dining area. There is a dedicated BBQ pavilion with stainless burners ready for you to enjoy. Whale Watch cruise from Surfers Paradise, you can do it all with us. There is a whole lot more besides too. How about a hot air ballooning experience with a champagne breakfast, or Draculas cabaret dinner and show. The Australian Outback Spectacular Show and Dinner is also another must see, must do experience, true blue Aussies. Booking your Broadbeach accommodation Gold Coast is just the start of your adventure. Book now. Our Broadbeach self contained apartments is an excellent place to stay if you like shopping. Dorchester On The Beach is the perfect choice for accommodation if you’re in search of new clothes and some good times. Broadbeach is indeed the shopping destination of choice on the Gold Coast. The Gold Coast favourites like the Pacific Fair shopping mall can be found right here in Broadbeach. It’s one of the largest malls in the Gold Coast and has just been refurbished. So if a full line of David Jones is exciting for you, so will all the other new operators like Target, Kmart and Big W. You will also have the choice of purchasing the freshest of produce as a new fresh food market will also be open for business. You wont’t have to worry about parking either with a lot more car parking spaces being added too. If you fancy stopping for a drink or having lunch, there are plenty of new dining and bar experiences to be had at Pacific Fair as well. Don’t forget HarbourTown in Biggera Waters. This brand direct shopping centre is also the biggest of it’s kind to be found in Queensland. Shop here for all the big clothing and homeware brands and save heaps. You’ll want to bring the kids to get them in the fitting rooms, and they’ll want to come too. You’ll find all the brands they want to wear. You will too. Come stay in our lovely fully self contained 3 bedroom apartments on the beach. This is the ideal place to bring the family, with plenty of space to spread out, and a delightful heated pool downstairs. Lounge about poolside, or slip through the back gate and onto the beach and find the perfect spot in the sand to drop your beach towels. All the necessities of modern life are taken care of in the apartments: air conditioning, Foxtel and wi-fi. It goes without saying the decor and furnishings are very pleasing, with the apartments graded according to their level of refurbishment: standard, deluxe or superior, according to the level and how recently the renovations were made. They’re all very comfortable, but you can choose the level of luxury you’d like to experience. You’ll love staying at our Broadbeach self contained apartments, even if you only need one bedroom accommodation. We’ll close off the other two bedrooms for you to enjoy the rest of the space. There you go, super-sized accommodation for the price of one bedroom. Book your Gold Coast holiday accommodation now. Our Gold Coast beachfront accommodation is a lot of fun, with so many different destinations that are well worth experiencing, and Broadbeach offers a great position to enjoy them all. The northern parts of the Gold Coast, Main Beach, Southport, Surfers Paradise, Broadwater and Broadbeach are all destinations that deserve your serious attention. These destinations can be found in a relatively compact area, and are very easy to access. From your car, or the public transit system G:Link you can transport yourself to the fun, food, surf, parks and spectacle of the Gold Coast. At Main Beach you can visit Sea World for a larger than life oceanarium. There’s so much to see with several shows throughout the day, you can meet the dolphins, tog up and take a snorkel dive through the reef, or have a (safe) shark encounter. Staying on Main Beach, for a total extravaganza, Palazzo Versace is another unique experience that should be experienced at least once in a lifetime. Eat your way through Southport, the pier is a great place to start. Let your nose guide your visit there. The park at the Gold Coast Broadwater are a lifesaver if you have young kids. There’s miles of green space, and the very famous water park. It’s a (free) mini theme park devoted to splashing and water play, and there is a great cafe beside it. If you are looking to while away a few hours, this is the place. The quieter destinations on the Gold Coast below Broadbeach are also worthy of attention. Burleigh Heads, Currumbin and Coolangatta have a little more distance between them, but offer some very attractive scenic moments. Burleigh Heads is a good place to spot the whales while they are passing through from August to November. Currumbin Wildlife Sanctuary is also excellent for younger kids. While right down at the southern most part of the Gold Coast, Coolangatta and Rainbow Bay have a more laid back but no less interesting Gold Coast character. Make sure you book here at our Gold Coast beachfront accommodation. The Dorchester On The Beach is the perfect place to start your family holiday on the Gold Coast. Who knows where it will end. Broadbeach resorts on the Gold Coast seldom get better than this. Whether you’re after a 3 bedroom holiday apartment for your family, or a 1 bedroom pier de terre for your romantic getaway, Dorchester On The Beach has you covered. Our central location on the beach at Broadbeach is the envy of many other resorts in the area. Beachfront locations are seldom found, and even if they are, will often have a road to cross. If you have a young family, traffic sense can get lost in the excitement of the moment. It will never happen here. Our position is right on the beach with handy access from our pool courtyard at the back of the apartment building. Luckily there’s a child-proof latch to prevent sudden exits. Once out of the gate however, there’s lovely warm golden sand to play in, or lay your beach towel on. The beach is fully surf patrolled, so as long as everyone swims between the flags, you can start to feel a little more relaxed. You’ll also find the heated pool a gorgeous place to lounge about. The kids will love a splash too. There’s an outdoor dining area beside the pool complete with a handy BBQ station, ready and waiting for good times. The Dorchester On The Beach is also within walking distance of Surfers Paradise. If the razzle dazzle, and hustle and bustle of Surfers proves too strong an attraction, then you won’t loose any time exploring Cavill Mall and the surrounding shops, markets and eating spots. Set your sights further afield while you’re in the Gold Coast on holiday and you’ll be richly rewarded with a some memorable experiences. For the uber luxe shopping experience, the Palazzo Versace Gold Coast can be found on the Gold Coast Broadwater. Explore your options with three-award winning restaurants, a famed day spa, fitness & well being centre, a private marina, the Versace Boutique, and the first water salon cabana experience in Australia. Even if it’s just to take high tea in the afternoon, you’re unlikely to have another refreshment break quite like one at Palazzo Versace. Also try Southport nearby. Just north of Surfers Paradise, this shopping and dining precinct overlooks the dazzling Broadwater and Southport Spit. Shop at Australia Fair Shopping Centre, or stroll the streets to find your next taste discovery. Night time sees the precinct transform into a wonderland of authentic multicultural restaurants. Check out Korean, Vietnamese, Italian, Turkish or Thai, to name but a few of the national kitchens on offer. In between theme park visits there’s always the Broadwater Parklands where you can go walking along the seaside tracks, or have a splash with the kids in the water park. Broadbeach resorts on the Gold Coast seldom get better than this. Book your Gold Coast holiday accommodation at the Dorchester On The Beach, and see just how good it can be. This Surfers Paradise resort accommodation is the perfect base for your Gold Coast theme park holiday adventure. Wake up every morning to the gorgeous ocean view, and coming back from the theme parks to a welcoming apartment in the Dorchester On The Beach Surfers Paradise apartment resort. Our fully self contained 3 bedroom accommodation is also a great option for couples too. If you only need a one bedroom apartment, we will lock off the other 2 bedrooms. You can enjoy the amenity of an apartment that was designed for 3 bedrooms. Imagine that. A supersized living, kitchen and bathroom, and views to match. All for what you’d pay for a 1 bedroom apartment in Surfers Paradise too. In between all the exhilarating Gold Coast theme park activity, take a break and relax on the beach, which is accessed from the gate of our pool courtyard. Our beachfront location can’t be beaten. There are no roads to cross. You’ll love it, and the kids will love it. You’ll have peace of mind knowing the beach is fully surf patrolled. Of course you’ll have to get past our big heated pool along with BBQ station and outdoor dining area. To perhaps co-ordinate this crush of Gold Coast holiday activities, you could come to see us at our Tour Desk. We can help you plan your Gold Coast theme park adventure, and perhaps make suggestions that you may not have come across or thought of. A scenic Hinterland Day Tour might make a welcome change of pace. Grownups can discover Tamborine and the various wineries and breweries that lie on the road to the Tamborine National Park. Bring some sturdy footwear, the walks and destinations in the Tamborine Park — Witches Falls, Palm Grove, Joalah, MacDonald Park, and Tamborine Mountain Botanic Gardens are worth a visit for their natural beauty, and especially Cedar Creek Falls. There is so much more to see in the Gold Coast besides; we can help you with a plan. Whether you’re coming or going, you will find our Surfers Paradise resort accommodation a great place to enjoy the Gold Coast. It’s on the beach, and close to all the theme parks. What’s not to like at this Broadbeach holiday accommodation? The Dorchester On The Beach really is luxury Gold Coast accommodation that is sitting on the beach. Transport yourself to Broadbeach and you could find yourself lying beside the beautiful heated pool, enjoying doing, er, nothing. Access to the beach is via the gates just a few steps away. Step onto the lovely warm golden sands of Broadbeach. Doesn’t that feel nice. The beach is fully surf patrolled so you can be assured that your kids or you can safely frolic in the surf. If you bring your boards the surf breaks are pretty good too. They break right and left, so you can practice your ambidextrous moves. Don’t worry too much about falling off because it’s a sandy bottom. Kids getting their first experience surfing will find this a fun beach to learn on. A normal run might give you a hundred metre ride, but on a better day it could even go out to two or three hundred meters. Not bad considering that this is just out the gates of The Dorchester On The Beach. You could spend a lot of time driving to a surf destination on the Gold Coast, but then again, you don’t have if you’re staying with us. Out of the water there is plenty to do, and with Surfers Paradise nearby, the kids can get lost shopping at Cavill Mall. Get all the latest swim and surf wear. There’s a zillion boutiques offering the look. Time for an update. For the dedicated follower of fashion, Cavill Lane is the hot new shopping precinct for fashion, food and technology. There’s two levels of shops, restaurants and cafes, including an Apple reseller. Fashionistas will be happy to know that Cavill Lane is home to international, national, and local fashion brands. If you feel like driving, because who knows how much shopping is coming back to the apartment, there is a secure underground carpark beneath the the Cavill Lane shops. What’s not to like at this Broadbeach holiday accommodation? Plan your next Gold Coast holiday here. Book now. Our Broadbeach resort accommodation is perfect for couples or families looking for the perfect Gold Coast resort beside the sea. We go one better with our holiday apartments. The Dorchester On The Beach is right on the beach. A quick elevator ride to the lobby and out into the pool courtyard you’ll find our beautiful heated pool. Perfect for lounging about or a few quick laps, but the pièce de résistance is the gate to the beach from the courtyard. Scoop your toes into the warm golden sand and drop your beach towel down for the real deal — sunbathing on the beach on the Gold Coast. That’s just the start of your Gold Coast holiday experience. Broadbeach is home to Jupiters Casino. It’s a five minute car ride, but if you’re making a night of it, a taxi ride will make it an even more enjoyable evening. Take in a show and a meal, there’s six very different restaurants in the casino, ranging from Japanese, Chinese and Italian fine dining to the newest modern offering, The Garden Kitchen and Bar. If you’re bringing the kids, Food Fantasy is one of the premiere seafood buffets on the Gold Coast with over 80 dishes from all over the world. There’s plenty of entertainment as well, whether it’s weekly entertainment or live concerts, we know you’ll have a lot of fun. Not far along is the Gold Coast Convention and Exhibition Centre, so if you are in the Gold Coast for a conference, we can offer superb accommodation for business travellers. Of course, the Dorchester On The Beach is very central for Gold Coast Theme Park visitors. If you hop over to our activities page you can grab some great deals on multi-day passes. Whether it’s Dreamworld and White Water World or Movie World, Seaworld Wet’n’Wild and Paradise Country, we know that you’ll want to go more than once. Make sure you check out our Broadbeach resort accommodation. We know that the Dorchester On The Beach is just what you need in Gold Coast accommodation. Book now. Escape to Dorchester on the Beach. Click here to get a quote for your 2 or more night stay for 20% off when you book a 3 bedroom apartment directly with us, to arrive from 1 August to 31 August 2016. Have a quick weekend break or a few well-earned days off and thaw out from the cold! The sun is shining and the beach is sparkling and our heated swimming pool is sitting at a balmy 30 degrees for your enjoyment. Book now to secure 20% off, for new direct bookings only – we strictly enforce our no party policy. Get away for a relaxing few days with a couple of girlfriends. Get a $75.00 dinner voucher and a $20 off Spa Voucher for each guest when you book any 3 bedroom apartment type for 3 nights or more and you will also receive a 5% discount off your accommodation. EXCLUSIVE FOR DIRECT BOOKINGS ONLY. The Golf voucher is for Emerald Lakes Golf Course. Emerald Lakes Golf Course is an 18 hole par 72 golf course designed by Graham Marsh. It is renowned for its multitude of pristine lakes and its championship design which caters for all levels of golfers. There is a driving range, coaching centre, Pro Shop as well a Mini Golf facility for the rest of the family. You can stop off at the 9th hole for a pie and beer or pop into the club house for a bite to eat or a refreshing beverage after your game. The course and facilities are open from 6:30am – late, 7 days a week. Michael and I love to dine out on the Gold Coast and would like to share some of our favourite restaurants in our new restaurant section, for you to consider trying when you come to stay. In this newsletter we would like to recommend two restaurants for you to consider when you come to stay. Earlier this month Sage Café + Pizza Restaurant launched their new winter menu which we were invited to taste test. We can recommend their excellent selection of tapas including the Bruschetta with tomato, Spanish onions, balsamic reductions & parmesan reggiano. We also enjoyed the Byron Bay Pork Loin with roast cumin carrots, kipfler potatoes, preserved lemon sauce & chilli, and BBQ Texan Ribs cooked in a traditional style sauce served with fries and salad. For dessert we enjoyed Sticky Toffee Pudding and Chocolate Marquise. There is a good selection of wine and beer too. Right next door to Sage is their multi-award winning sister property Yellowfin Restaurant which focuses on serving the freshest seafood available at a reasonable price. 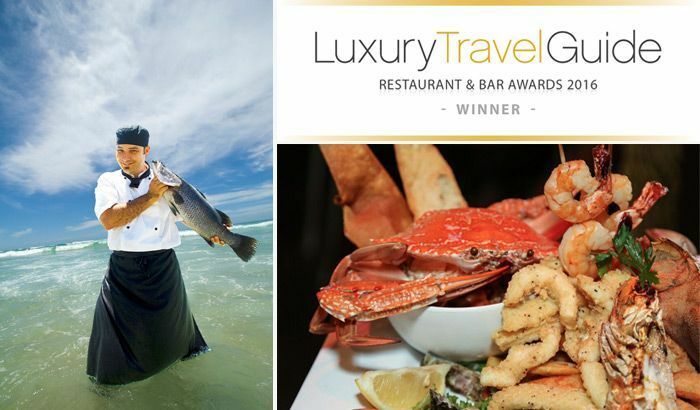 They recently won the Luxury Travel Guide Restaurant & Bar Award 2016 and were voted STATE WINNER – Queensland’s Favourite Family Restaurant 2014. Their Seafood platter is something to behold, along with their salmon and tuna delights, as well as your old favourite fish and chips! Their menu also caters for beef lovers and children along with a good selection of wines (Fully Licensed & BYO). More than 600 events and activities happen on the Gold Coast each year. Check out some of the upcoming events and consider coming to visit. Enjoy all of the action of live AFL and see Your SUNS take on Fremantle at Metricon Stadium. For an entertainment filled Saturday with live music, AFL playground, free face painting, roving entertainment, kick-to-kick post game and more! Enjoy the completely free Broadbeach Jazz Weekend this August! With more entertainment offered, this family friendly event will have outdoor stages and venues and a host of roving street entertainment, markets and more. Watch the battle on the streets of Surfers Paradise, in the final event in the PIRTEK Enduro Cup, and Robby Gordon’s Stadium Super Trucks make a spectacular return to the Gold Coast streets after a sensational debut last year. Your ticket can include access to the 600 Sounds concerts. Peking Duk and L D R U will fire up the crowds on Friday night and The Living End, The Rubens and Birds of Tokyo will continue the party on Saturday. This is handy Gold Coast theme park accommodation. Bring the family to the Dorchester on the Beach and find out how much fun it can be to stay at one of Surfers few holiday apartments right on the beach. Access to the Surfers Paradise beach is via the secure pool area which faces out to the beach. Bring your surf board, or if you’ve packed light we have bodyboards available at reception you can use for free. Not only do you get convenient access to the Gold Coast theme parks, but you are also close to all that Surfers Paradise has to offer with the convenience of the Light Rail G:Link, a visit to Broadbeach is very easy. Even walking, Broadbeach is still very accessible at only a kilometre and a half away. It’s a fifteen minute stroll via Surfers Paradise Beach, or Old Burleigh Road. You can also catch the Tram to Broadbeach and the Gold Coast Convention and Exhibition Centre, Jupiters Casino and Pacific Shopping Centre. If a walk back or tram ride does not appeal there’s always plenty of taxis on the road. Uber is another option too. You’ll find plenty to do, see and eat in Broadbeach on our Gold Coast family holiday. It’s the smart new eating precinct on the Gold Coast with an endless selection of restaurants. Broadbeach is now synonymous with the Broadbeach Blues Festival, Country Music Festival & Jazz Festival. The Gold Coast Convention and Exhibition Centre and Jupiters Casino also host a number of events and exhibitions. It always pays to check to see if Jupiters Casino has a show that the family would like to see. The buffet restaurant is also a great place to bring the family. If you like shopping then Pacific Fair, one of Australia’s largest retail centres is in Broadbeach too. Shop large with more than 300 stores to browse, there’s cinemas to drop the kids off, with food courts and all your favorite family restaurants to visit if you require refreshments. This really is handy Gold Coast theme park accommodation. Whether dad opts for theme park duties, and mum heads out shopping, you’ll all return to the Dorchester on the Beach for more good times. Book now, because. This is where everyone has fun. Are you looking for the quintessential Gold Coast family accommodation? This is luxury Surfers Paradise accommodation that is set on the perfect beachfront location close to Broadbeach. Bring the family to the Gold Coast and enjoy the expanse of space that our fully self contained three bedroom apartments at the Dorchester on the Beach offers. This is absolute beachfront property and our guests enjoy easy access to the beach via the secure pool area. Relaxing after a hard day shopping in Harbourtown or Pacific Fair couldn’t be easier. Settle in with a cool drink and fire up the barbeque in the pavilion beside the pool. Enjoy a family moment over dinner al fresco before heading upstairs to the apartment or out for further adventure. An after dinner stroll along the boardwalk might be met with the night markets. More often than not you’ll catch some entertainment with street performers, the kids will have a great time basking in the carnivalesque atmosphere, as long as it’s a Wednesday, Friday or Sunday evening. As well as space, you also get heaps of choice about how seriously you wish to dent your wallet. With budget needing to be allocated to holiday activities, tours and eating out, you’ll be pleased that our standard apartments offer a very reasonable tariff. Forgo the heights and the recent renovations and you still get the same space and the kids will hardly notice. If on the other hand luxury is the goal, our deluxe and superior apartments offer better views, newer and more modern interiors and furnishings for a delightful accommodation experience. Book our penthouse apartment for the height of luxury. Spread over three floors, our 3 bedroom, 3 en-suite, 3 level penthouse apartment offers 349 sqm of superb indoor and outdoor living. It’s open plan living and dining area with spectacular 180 degree views of the entire Gold Coast & Surfers Paradise. Venture upstairs to another living space that flows through to an expansive wraparound balcony with a magnificent 360 degree view on the rooftop terrace. The Dorchester is the perfect accommodation option for those wanting family friendly Surfer Paradise holiday apartments. You need look no further for the quintessential Gold Coast family accommodation. Book now at the Dorchester on the Beach. Make bringing the family to Surfers Paradise not just a good idea, but a great one. Our 3 bedroom holiday apartments Gold Coast is just the place to bring your family for a totally fun-packed adventure. At the Dorchester on the Beach we have a range of spacious fully self contained 3 bedroom apartments to choose from. Whether you’re looking for good old fashioned value for money, or something more luxurious we can provide exactly what you need in the way of family accommodation. For couples looking for a romantic escape to Surfers Paradise can also book one bedroom apartments with us. Strictly speaking, we lock off the spare bedrooms but give you full rein over the rest of the apartment. Gorgeously roomy open plan living and dining areas, an ensuite and bathroom, fully equipped kitchen and laundry. You’ll have more space than you will know what to do with. We start with standard apartments and as the degree of renovation rises commensurate with the levels and views we graduate to deluxe and superior apartments with tariffs that reflect the increased amenities and recent renovations. Included in your Surfers Paradise holiday accommodation is free wi-fi and Foxtel television with ample channels for the kids, movies, and sport. After a hard day at the theme parks or shopping, a night in with takeaways or BBQ is welcome rest. Of course dining poolside is always an option too as the BBQ and outdoor dining area is right alongside the pool. Not to mention access to the beach is also from the pool area. For the shopaholics access to the Pacific Fair Shopping Centre in Broadbeach is very handy. The tram only takes ten minutes and is very convenient, however a car is always helpful with larger shopping expeditions. The same goes with the Harbour Town Shopping Centre. It’s twenty five minutes away by car, but it has the largest collection of brand direct stores in Queensland. For branded clothing and homewares that is heavily discounted Harbour Town is your destination. For many visitors to the Gold Coast, entire wardrobes can be bought with significant savings. Whether you are here for a theme park adventure, or a major shopping mission our 3 bedroom holiday apartments Gold Coast is just the place to bring your family. Book now at the Dorchester on the Beach. How about this beachfront accommodation Gold Coast for families? Set right on the beach, Surfers Paradise is the perfect place to bring your family for the holiday of a lifetime. Life is a beach when you come to stay at the Dorchester on the Beach. With the beach access from the back gate of our delightful pool area, the kids will think they’ve hit gold, (and of course they’re right) but you’ve also got the choice if you have younger ones to keep a closer eye on them in the pool. You’ll love our fully self contained Gold Coast three bedroom holiday apartments. There’s plenty of room for everyone with beds for six including the queen-sized bed. If you need another bed, a rollout one is also available too. There’s also a range of budget options too. We have three, four, four and a half star and penthouse accommodation available and pricing is reflected accordingly. Our standard Gold Coast three star apartments have not been extensively renovated and do not occupy the higher floors as the deluxe and superior apartments do, but they are identical in size. These apartments offer families an affordable opportunity to stay beside the beach. For guests looking for more luxurious accommodation will find our deluxe and superior apartments refreshed and refreshing accommodation. These newly renovated apartments offer a fresh modern crispness to the furniture and fittings, huge living areas, and larger beach and ocean views, as well as two bathrooms, laundry and modern kitchens. If holidaying on the Gold Coast with tons of family friendly activities and attractions, plenty of reasonably-priced restaurants, the excellent shops along Cavill Avenue and its magnificent foreshore and boardwalk sounds like the place for you, not to mention the iconic Surfers Paradise beach, then you really should book this beachfront accommodation Gold Coast for families. Our Gold Coast beachfront family accommodation is perfect for your holiday in Surfers Paradise. You get to stay as close as possible to the beach, and the centre of Surfers Paradise without having to put up with the hustle and bustle of Cavill Mall. Rest easy, it’s a solid ten minute walk away, which makes it easy to be in the thick of it when you want to, but with the Dorchester on the Beach far away enough for you to have your quiet enjoyment. Whether you take your rest and relaxation on the beach, or beside the pool on your Gold Coast holiday, it’s all so very convenient. The kids will love the beach, and the lovely white sand underfoot, and you’ll rest easier knowing the beach is fully surf patrolled, but remember to always swim between the flags. But that’s not all we have to offer. A visit to the Gold Coast is never complete without a trip to the theme parks or the countless other attractions that have made the GC such an exciting holiday destination. Check in at our tour desk or online with our tour desk portal. You can get all of the popular Gold Coast theme park passes online here! Get organised well in advance with all kinds of tickets to these great Gold Coast attractions, from basic single day entries to unlimited access passes to Dreamworld, WhiteWater World, Sea World, Movie World along with exclusive combos and bonuses. Getting there is also a piece of cake. Sea World is just ten minutes up the road on Main Beach and Movie World is fifteen minutes away by car or transfer and Wet N Wild and Dreamworld a little further at a half hour drive. Just enough to really build the anticipation. Take a good look, you don’t want to miss out. The whale watching cruises, lunch cruises from Surfers Paradise and our favourite, the Australian Outback Spectacular Dinner and Show are especially worth experiencing, even for true blue Aussies! Take a good look at our Gold Coast beachfront family accommodation. It is perfect for your holiday in Surfers Paradise. Book your accommodation at the Dorchester on the Beach as wel as your Gold Coast theme park tickets. We’ve got you covered. The Dorchester on the Beach is absolute waterfront accommodation perfectly located at the centre of Broadbeach and Surfers Paradise right on the oceanfront and an easy walk along the beach to Surfers Paradise or Broadbeach. “The best accommodation choice for Broadbeach Gold Coast accommodation on the beachfront” is a typical guest review from Dorchester on the Beach return guests. Enjoy a stroll just over one kilometer North of Broadbeach to the great shopping and entertainment precincts of Broadbeach. We offer something that can’t be found closer to Broadbeach or Surfers Paradise having 3 bedroom family holiday accommodation and Penthouses right on the beachfront with no roads to cross. Our Resort Holiday Apartments are all large modern 3 bedroom holiday apartments and Penthouses from cheap accommodation to luxury 4.5 star Broadbeach Penthouses specifically for family holiday accommodation. Broadbeach is the home of Gold Coast music festivals featuring Blues on Broadbeach with magnificent Australian and international blues legends performing over three days. The Broadbeach Country Music Festival has become an icon for country music fans while the Broadbeach Jazz weekend caters to Australia’s jazz lovers. 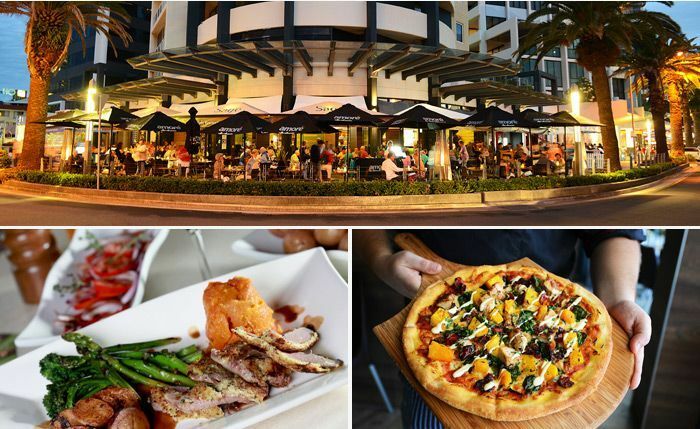 Broadbeach has become renowned for having some of the Gold Coast’s finest restaurants with hundreds of restaurants now lining the streets around the centre of Broadbeach. Easy access is gained from Dorchester on the Beach to Broadbeach with a short 5 minute ride on G:Link the Gold Coast new light rail system which also takes you directly to Jupiters Casino and Gold Coast Convention and Exhibition Centre and Pacific Fair Shopping Centre as well as the bus transit centre at Broadbeach which connects you to Gold Coast International Airport. Your Broadbeach family holiday at Dorchester on the Beach allows you to enjoy large, 150 sqrmtre, 3 bedroom ocean view, self-catered, 4 ½ star family apartments providing a peaceful beach front family holiday and still be close by Broadbeach for its festivals, attractions, sporting activities, soccer and bowling tournaments, concerts, conferences and restaurants. Broadbeach also offers unique attractions like the open air movie theatre on the beachfront, garden park markets, patrolled surf beach and great shopping at the Oasis Shopping Centre which links to Jupiter’s Casino by mono rail. For Broadbeach absolute beachfront accommodation, you cannot go past The Dorchester on the Beach, Broadbeach, Gold Coast, Queensland. Dorchester on the Beach has the perfect Surfers Paradise accommodation for your Gold Coast family holiday. Located right on the waterfront main beach of the Gold Coast and just 950 metres South of Cavill Avenue, Surfers Paradise. This resort has the perfect name “Dorchester on the Beach”… absolute oceanfront accommodation with no roads to cross and stunning beach and ocean views north and south overlooking the entire Gold Coast beach stretching from Coolangatta in the South to Main Beach in the North. Walk through the gates from the heated pool area to your own private patrolled beach access and feel the soft white sand of Surfers Paradise Beach between your toes. Your family accommodation at Surfers Paradise on the Gold Coast is made more enjoyable by the large 150 sqrmtre 3 bedroom family holiday apartments which include 3 bedrooms, 2 bathrooms, full size laundry, lounge, dining room and fully equipped kitchen to make your self-catering easy and enjoyable. All of our family holiday apartments face the East and all have magnificent uninterrupted views of the Surfers Paradise beachfront with a balcony off the lounge and the main bedroom for you to sit and enjoy the views with a cup of coffee or a glass of wine. Our Gold Coast family holiday apartments come in four different apartment types. From the magnificent Jewel in the Crown of Dorchester on the Beach – The Penthouse on the 16th and 17th level has 3 ensuited bedrooms over two levels of accommodation and a total of 348 sqrmtres of indoor and outdoor living over three levels through to our 3 bedroom 4 ½ star AAA rated Superior apartments, most having 3 bedrooms and 2 bathrooms but some with 3 bedroom and 3 bathroom options, to our 3 bedroom 4 star rated Deluxe Apartments, and our moderate priced Standard 3 star apartments perfect for families to have a beachfront Surfers Paradise family holiday accommodation at a more affordable price.